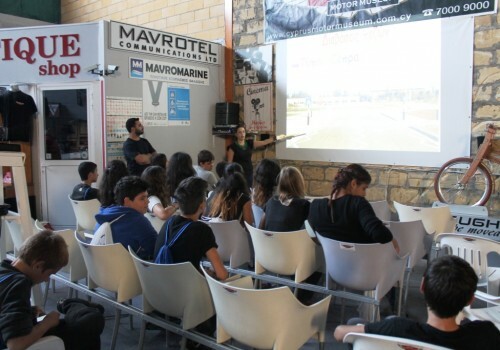 An educational full day excursion was organized on the 29th March by Sagapo Children’s Foundation for the children attending the “Free Hands” program. 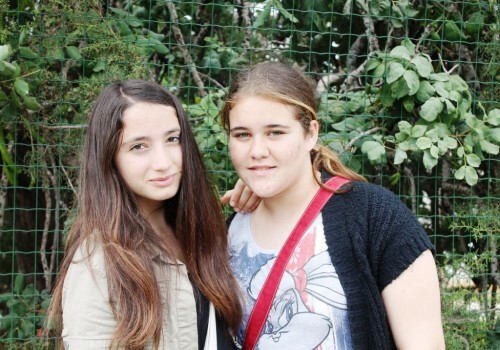 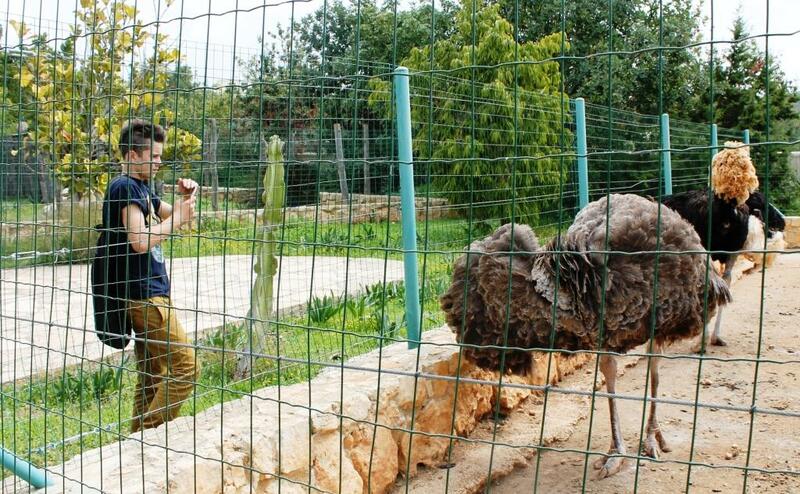 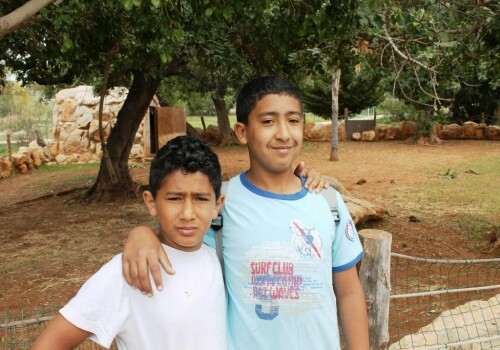 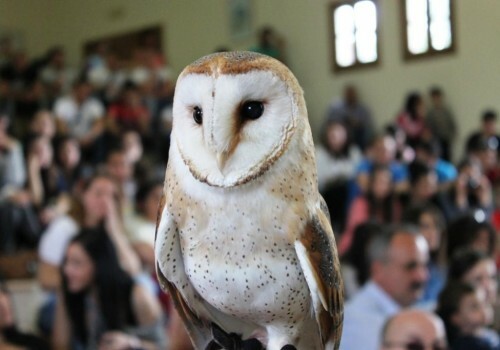 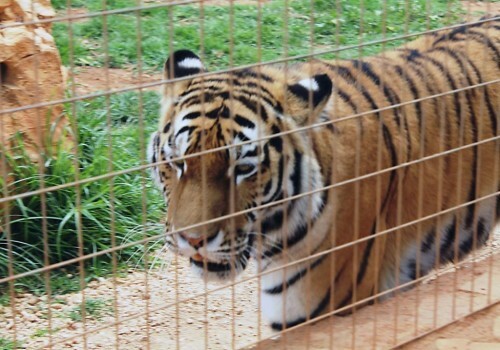 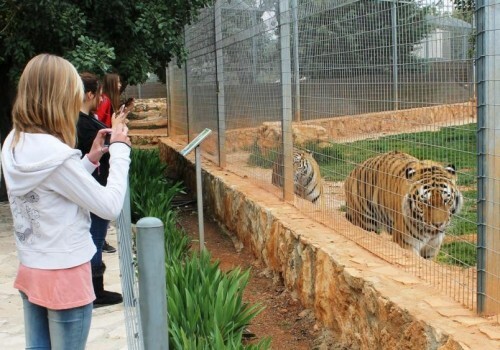 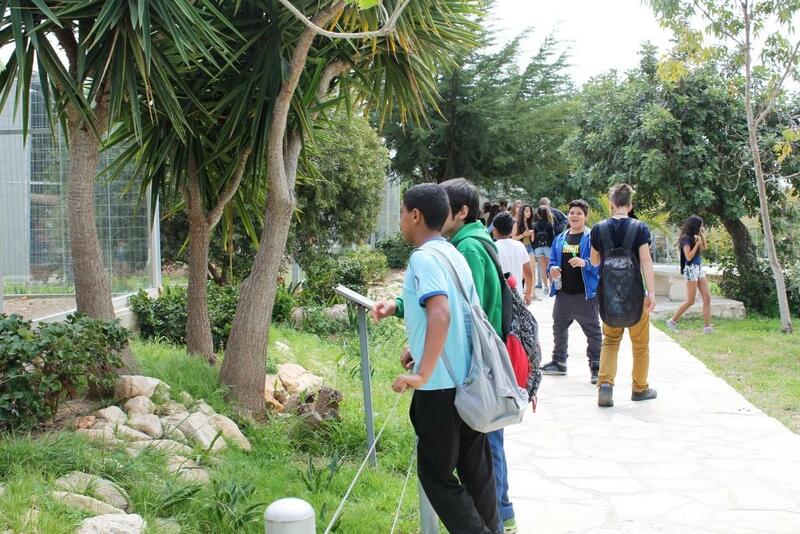 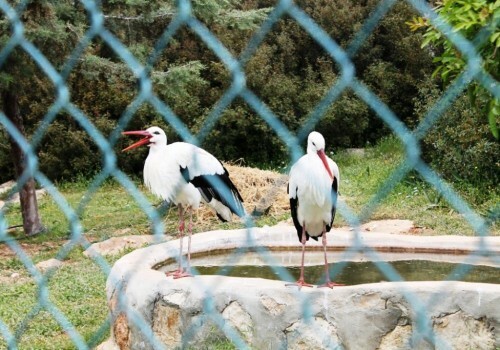 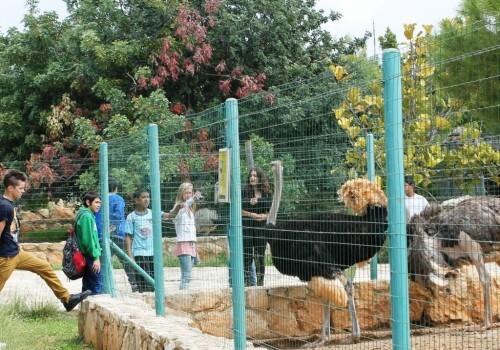 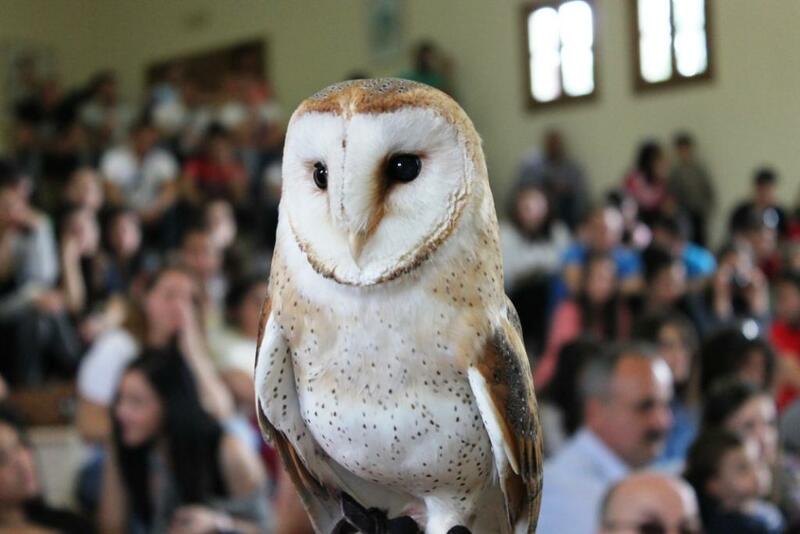 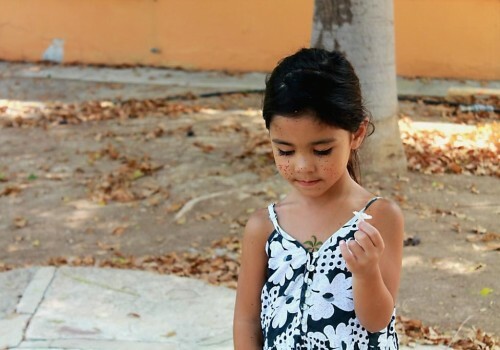 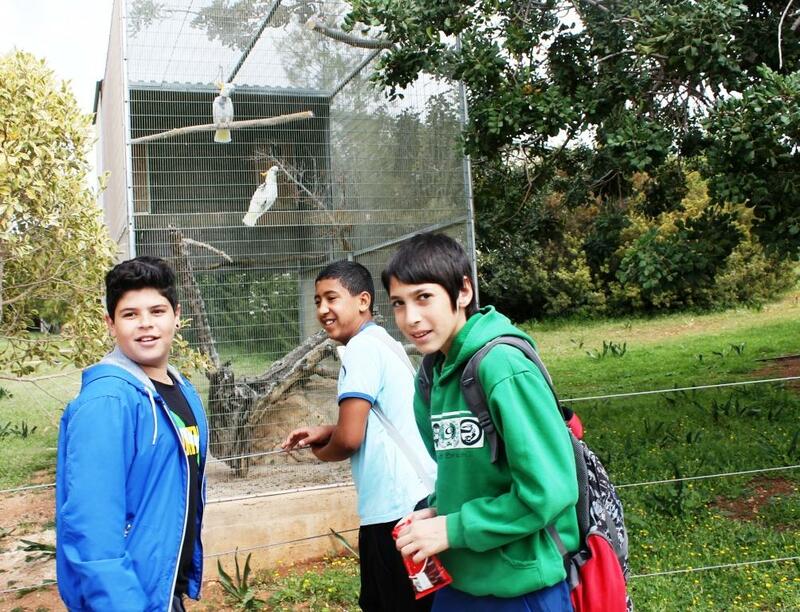 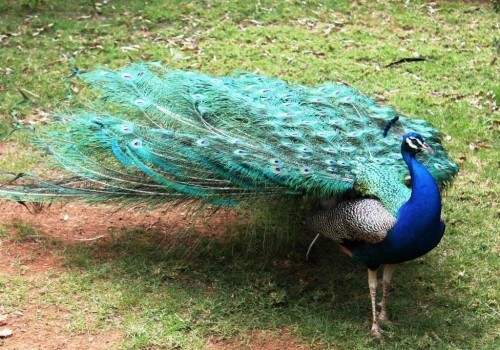 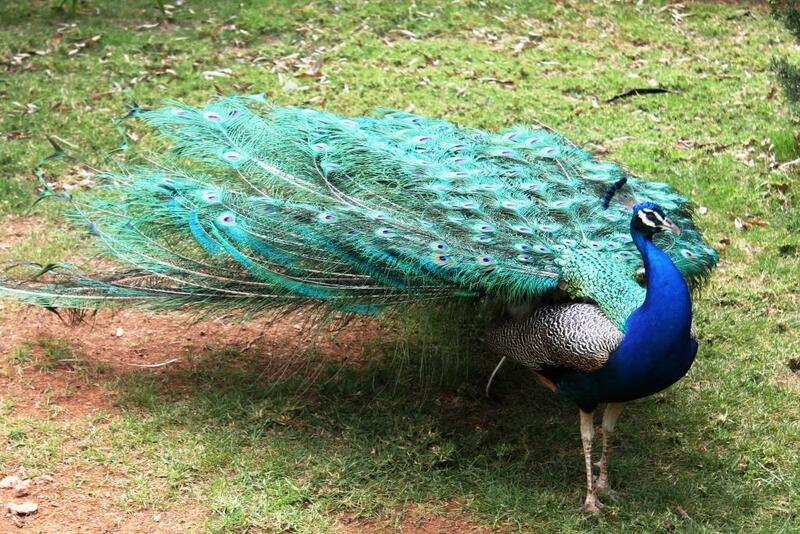 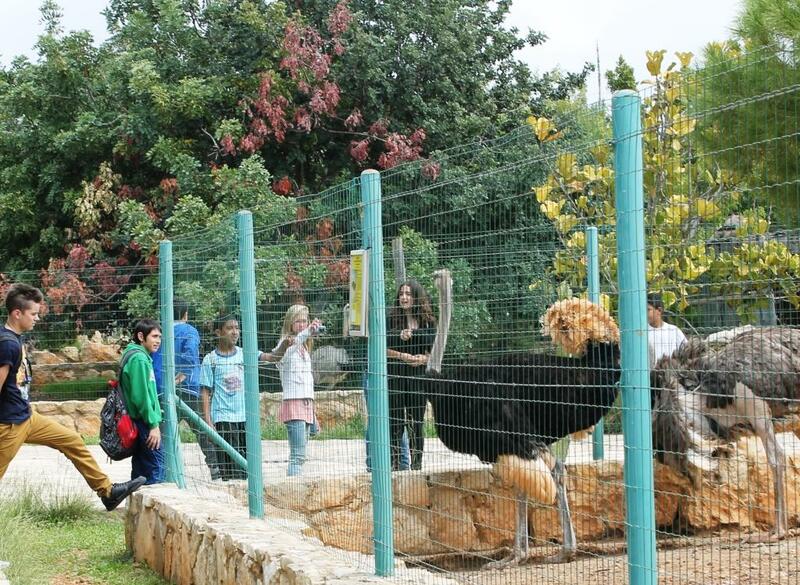 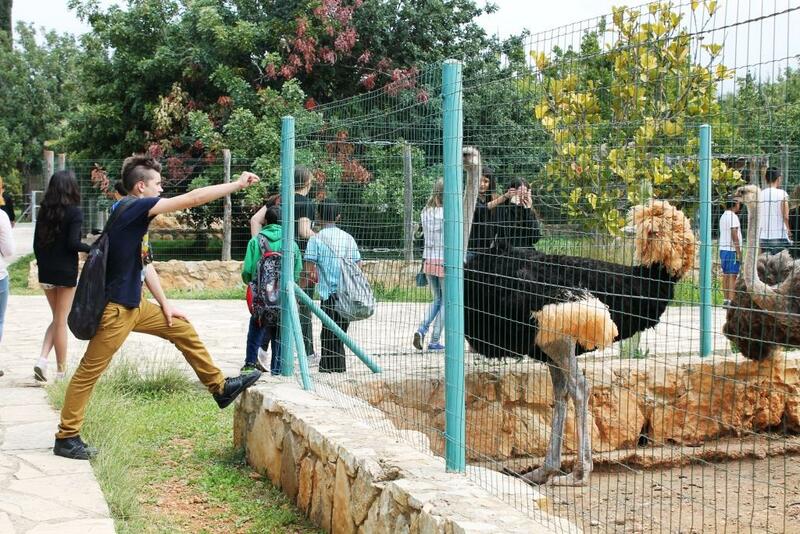 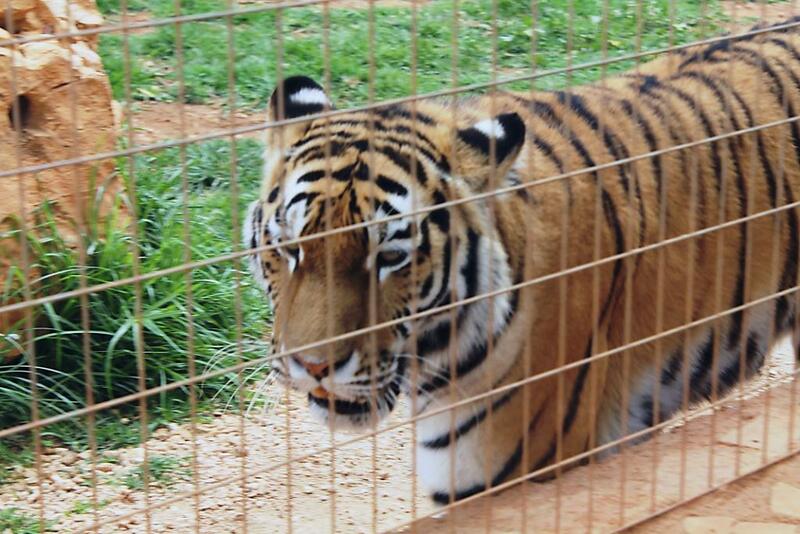 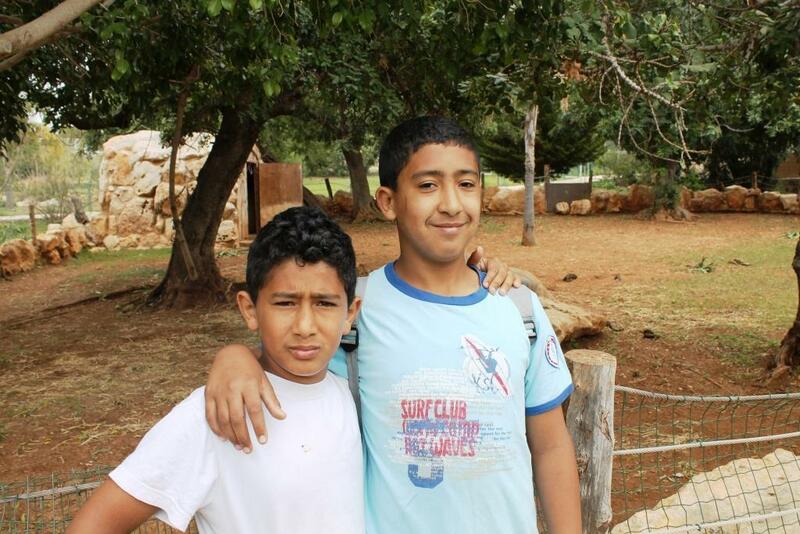 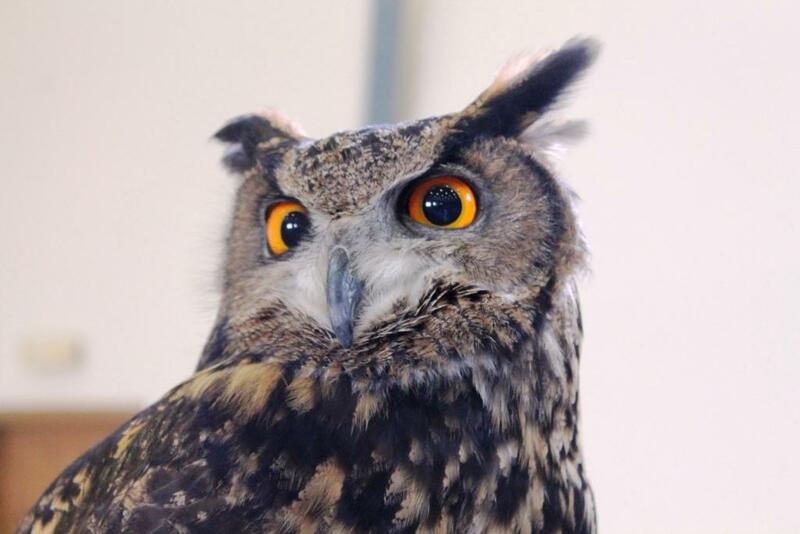 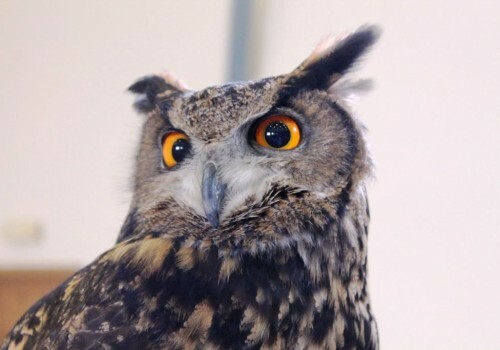 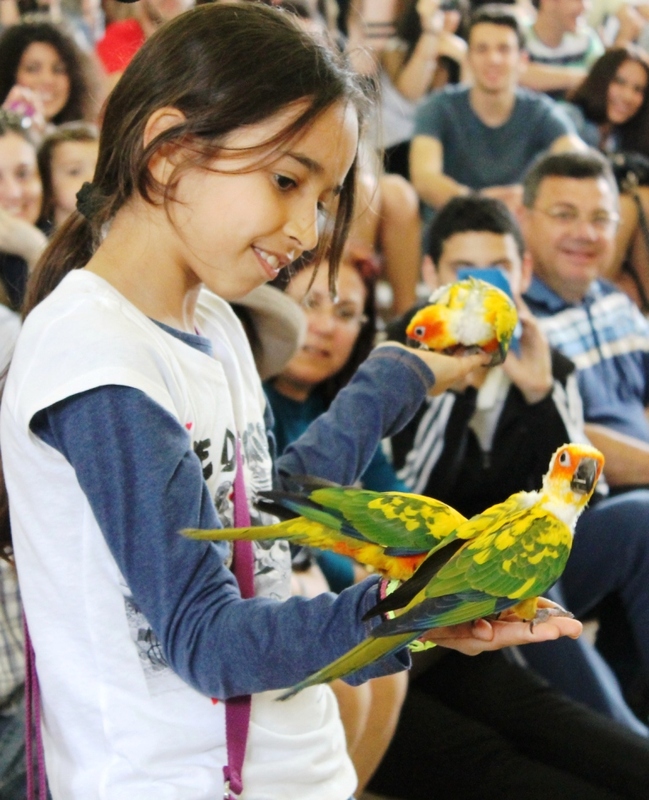 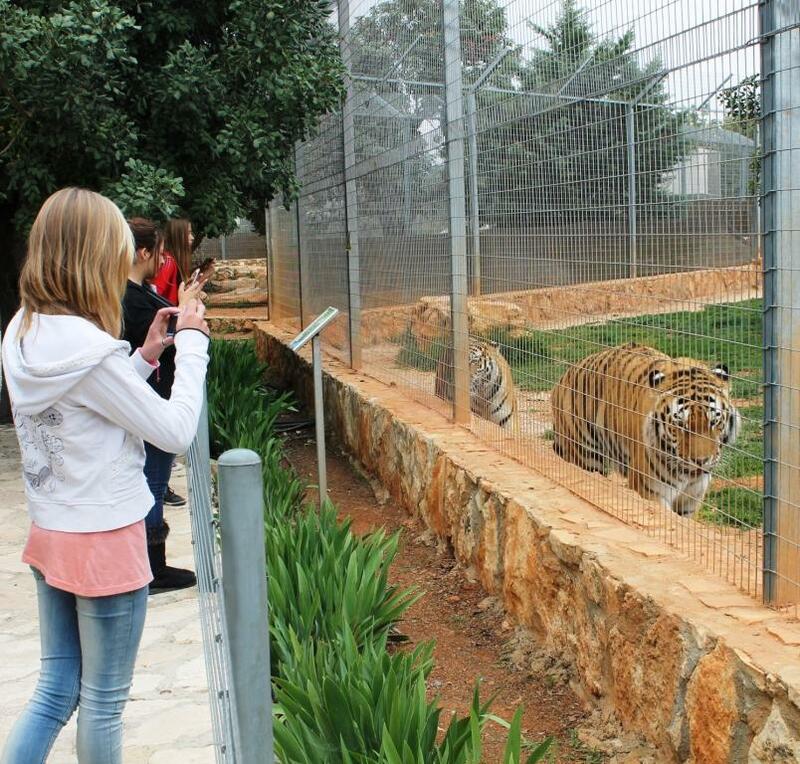 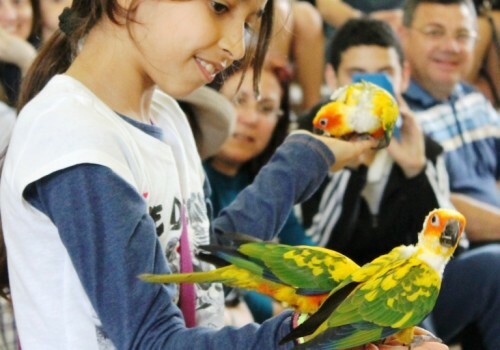 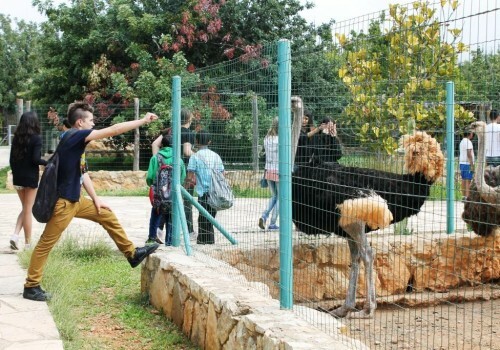 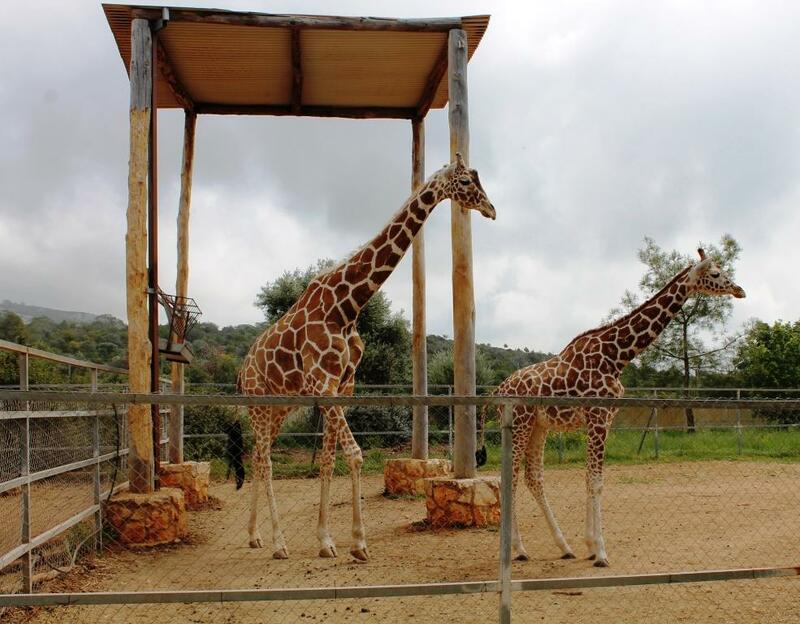 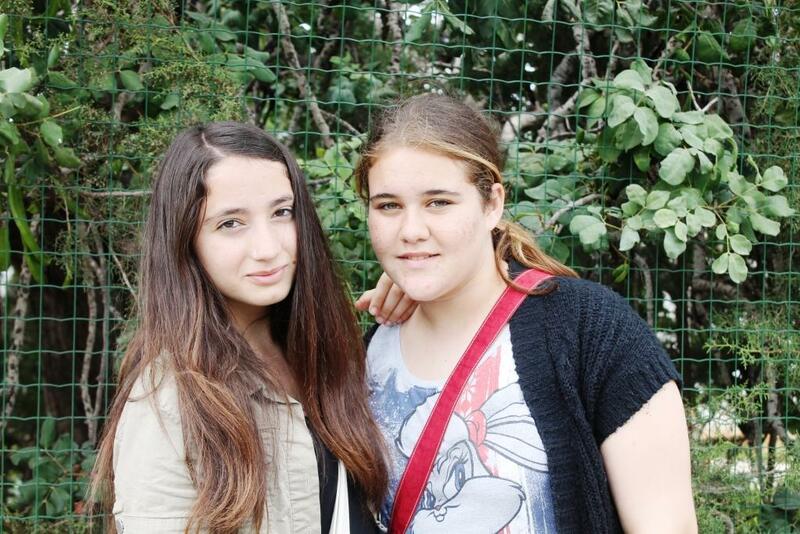 Twenty-one children enjoyed a day at the Pafos Zoo interacting with animals and learning about exotic birds and reptiles from around the globe. 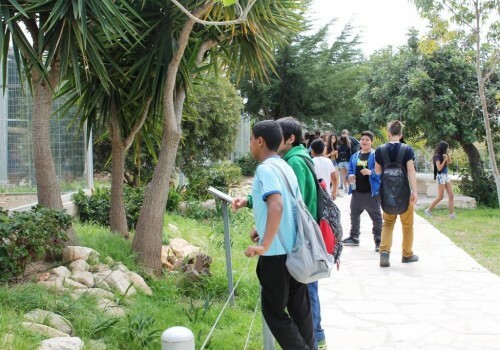 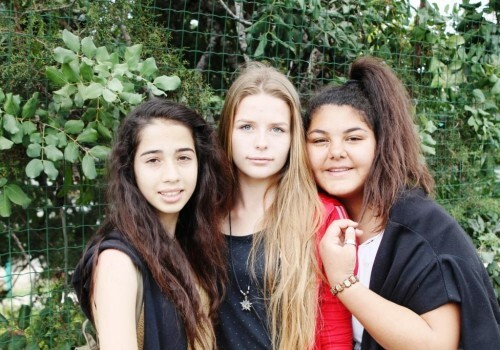 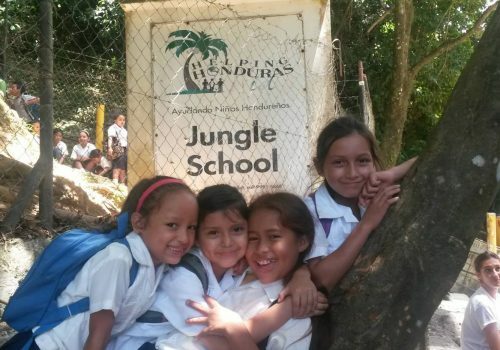 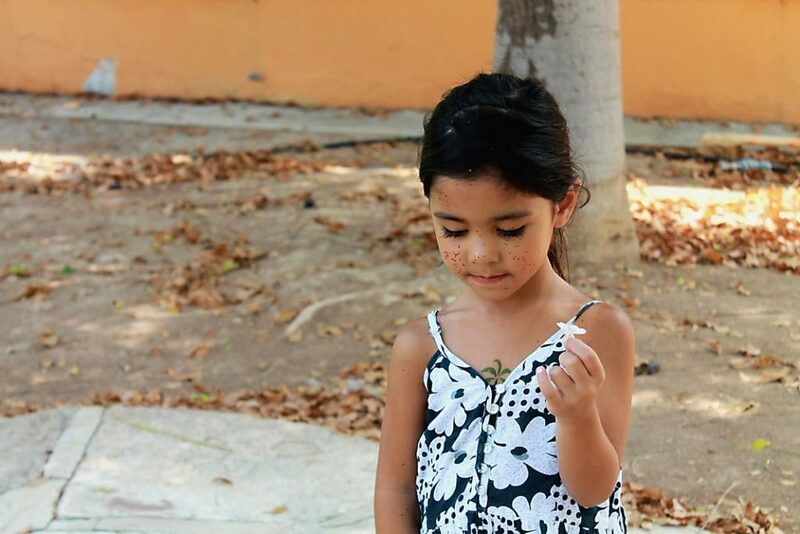 A great opportunity for the children, to exchange between them and enjoy a day in the open air with the assistance of their escorts and teacher. 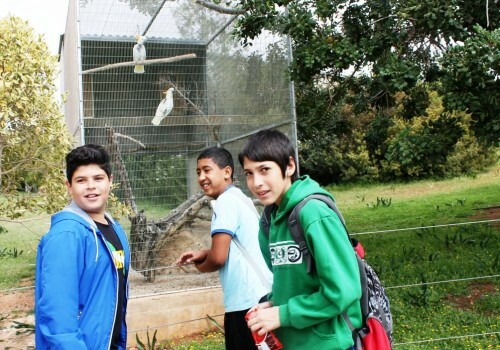 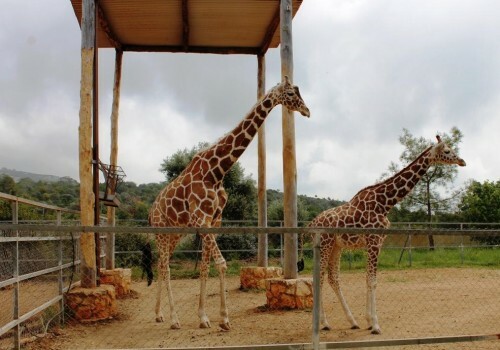 A big thank you to our Charity Partners ( Hadjilykos Buses and Coral Beachhotel ) also to the owners of Pafos Zoo who offered free entrance for all the children. 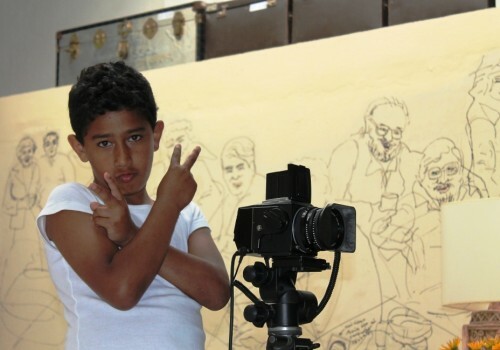 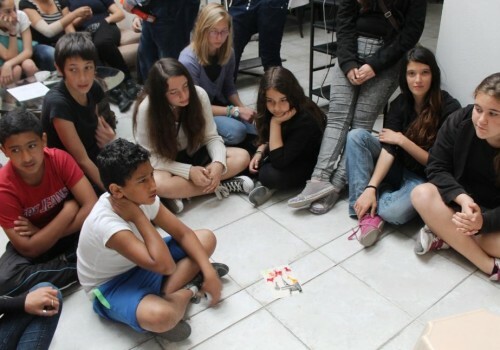 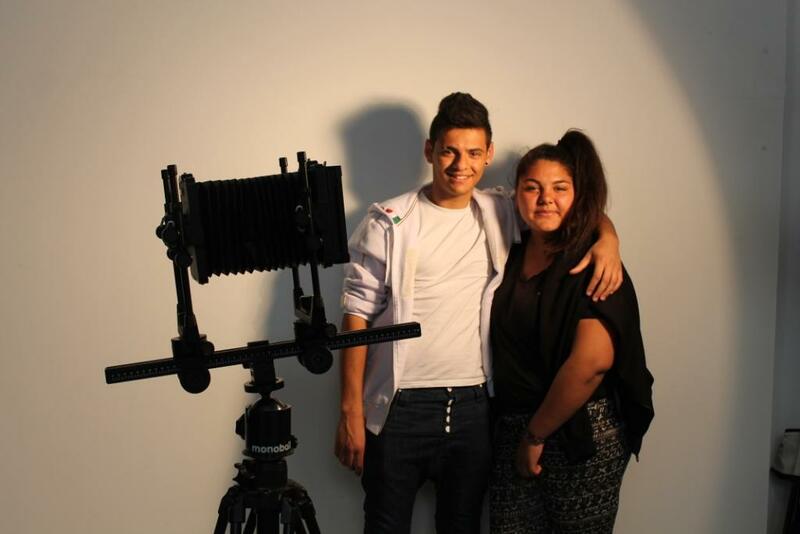 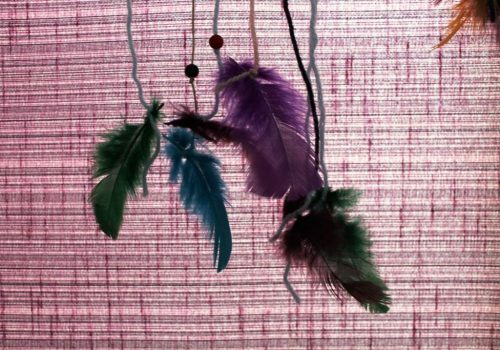 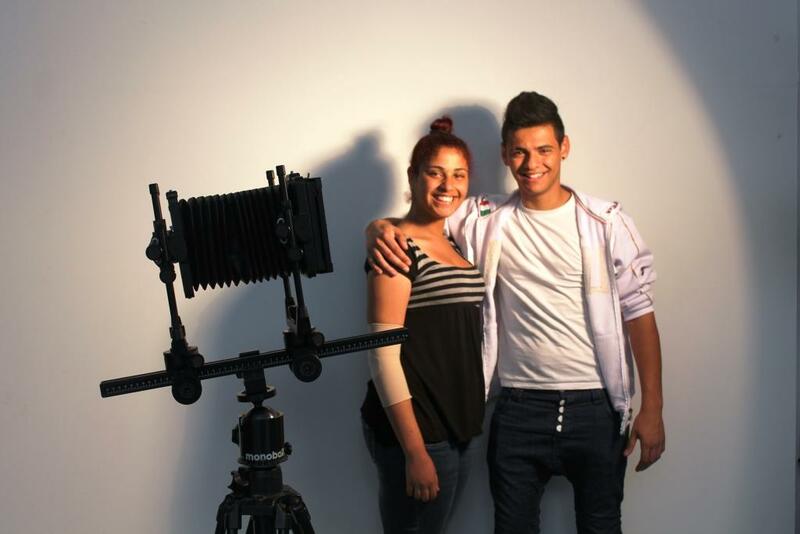 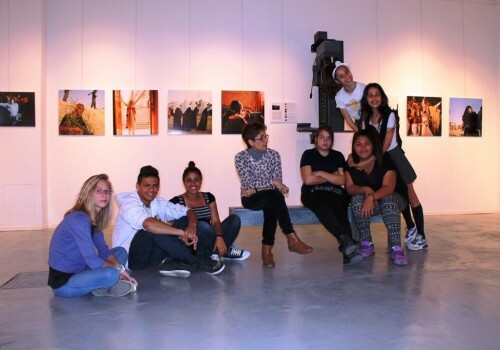 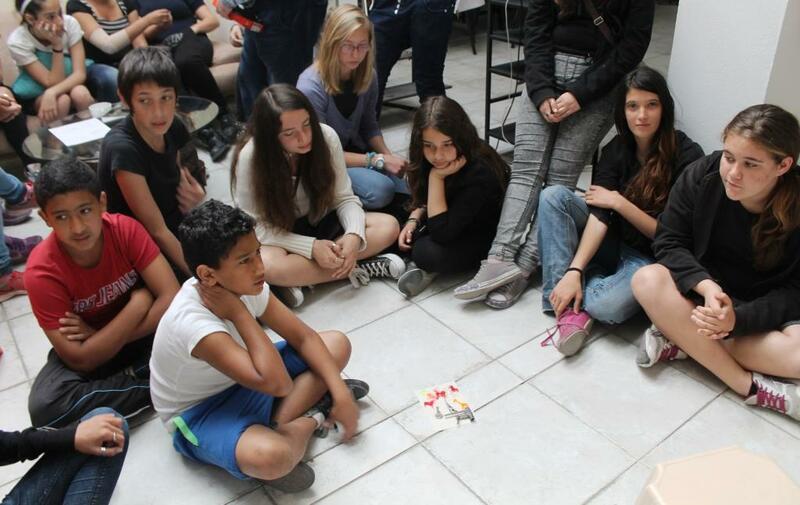 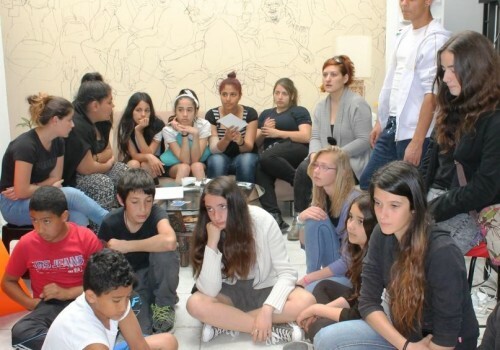 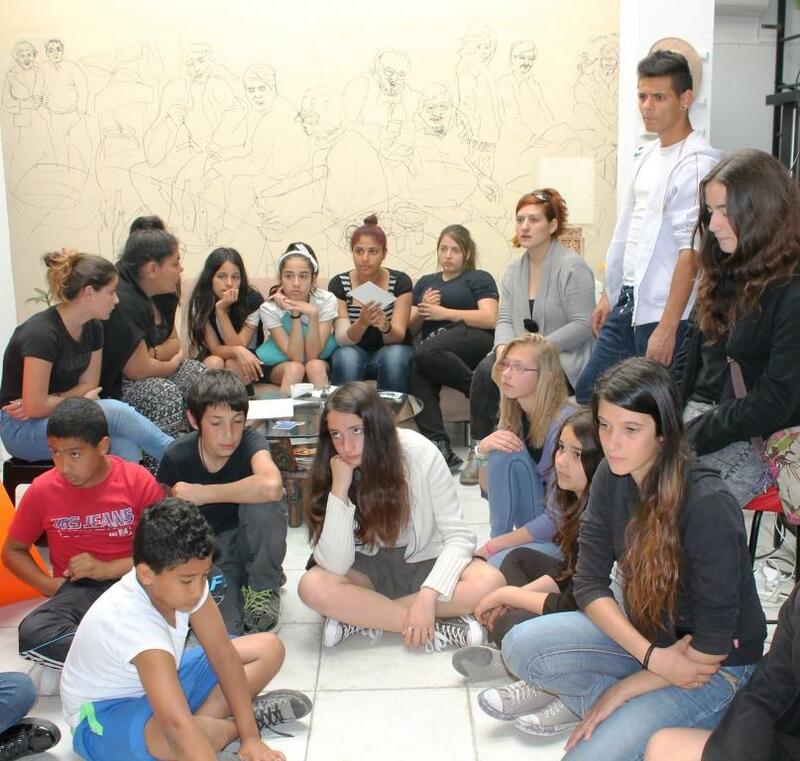 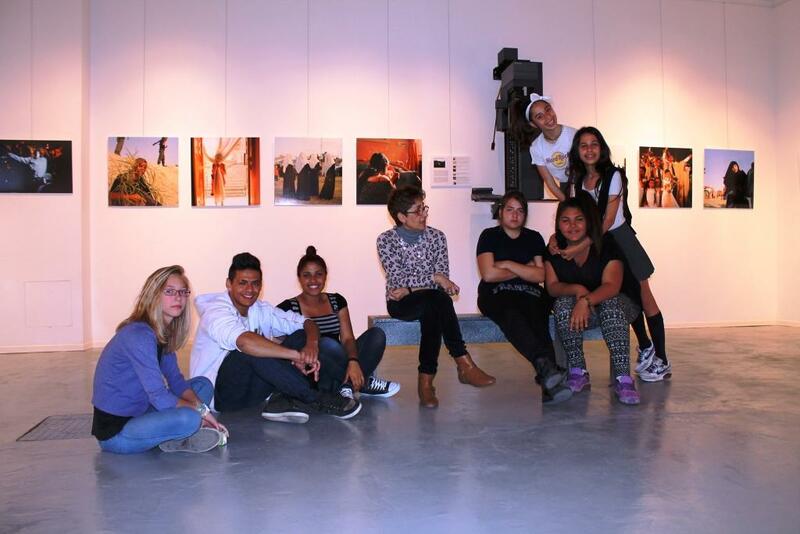 A photography workshop was organized by Sagapo Children’s Foundation for the children attending the “Free Hands” program on Friday the 28th March in collaboration with the 6X6 Center for Photography in Limassol. 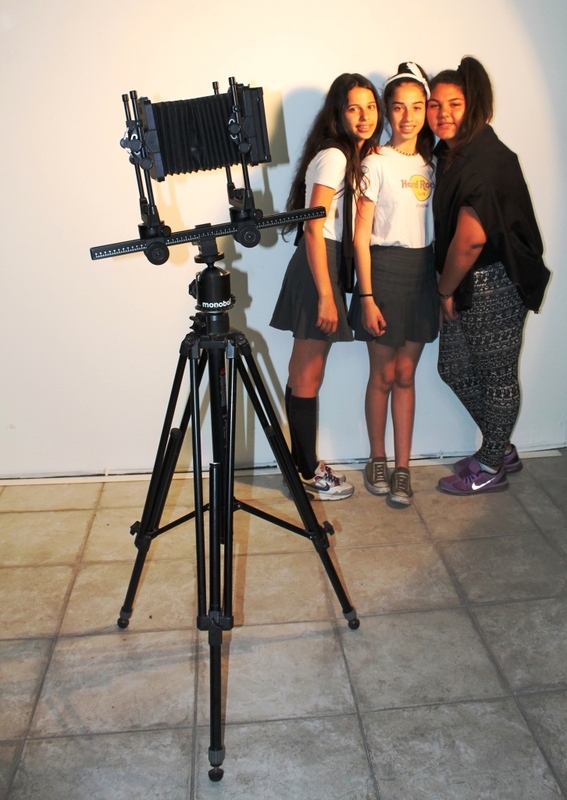 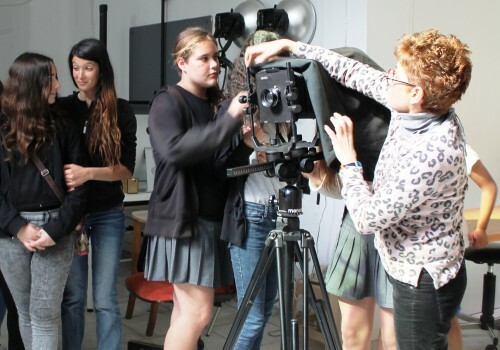 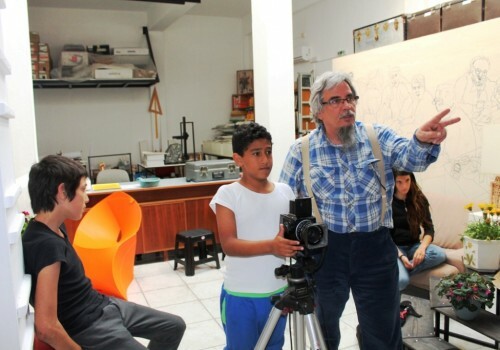 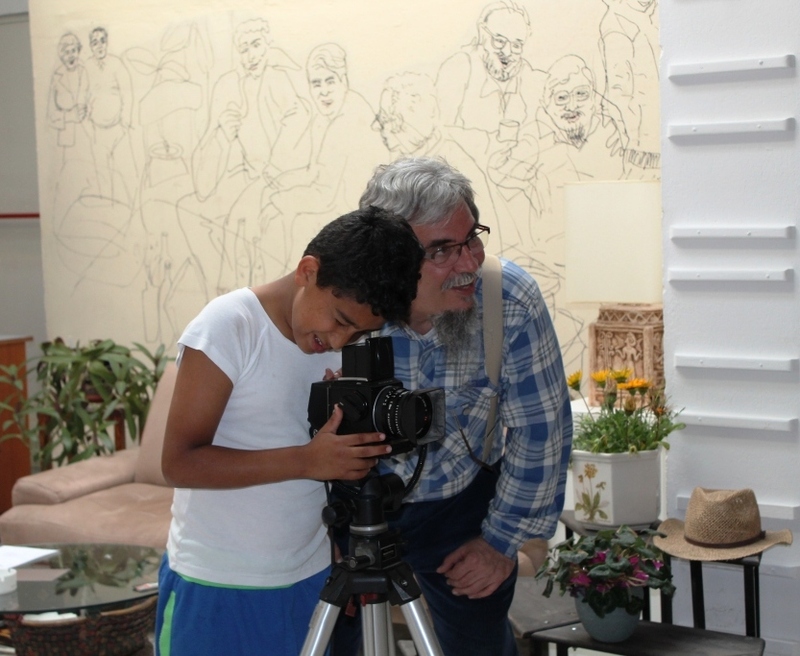 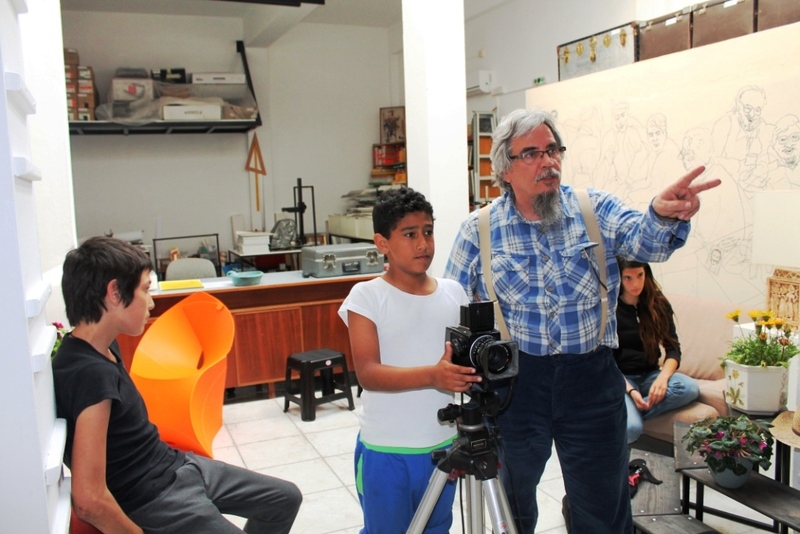 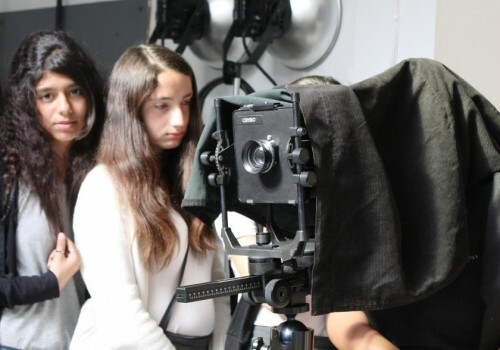 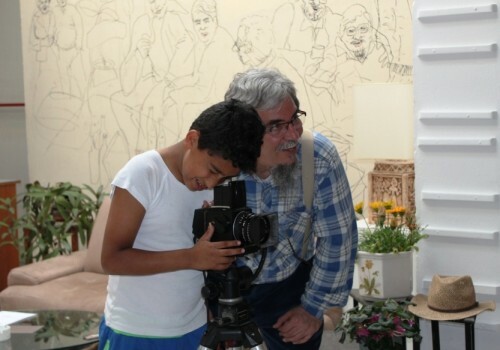 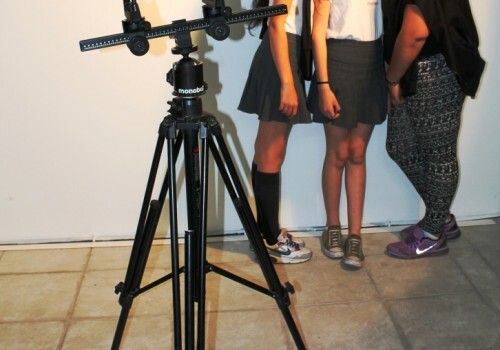 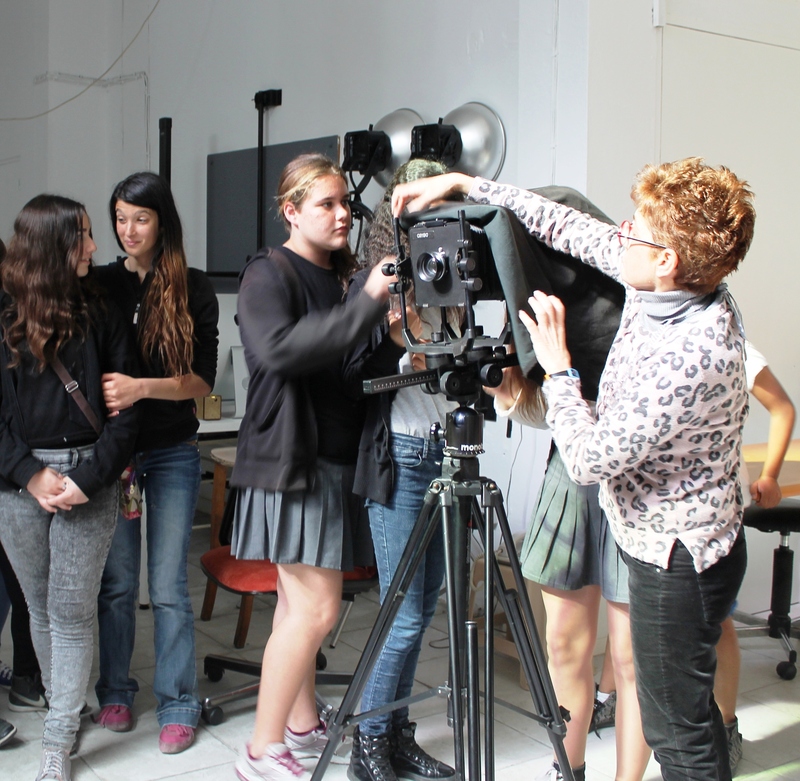 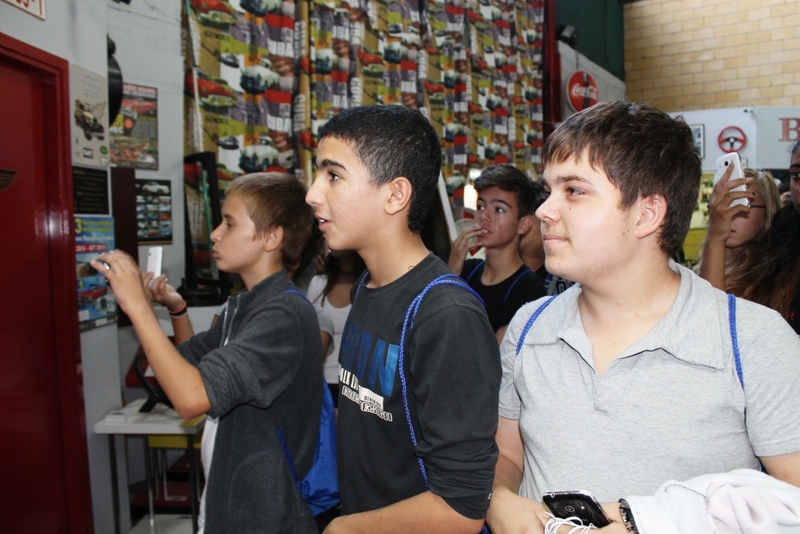 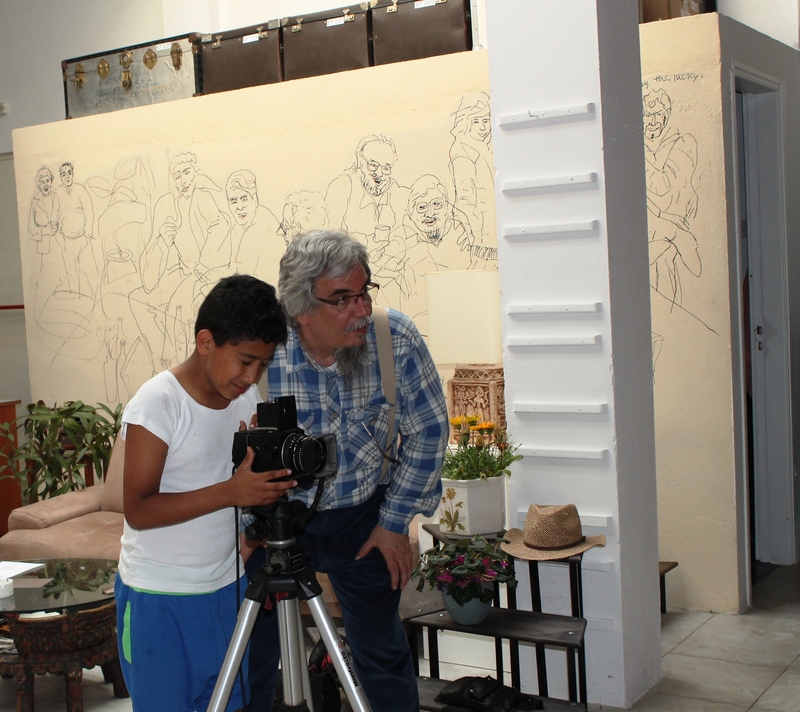 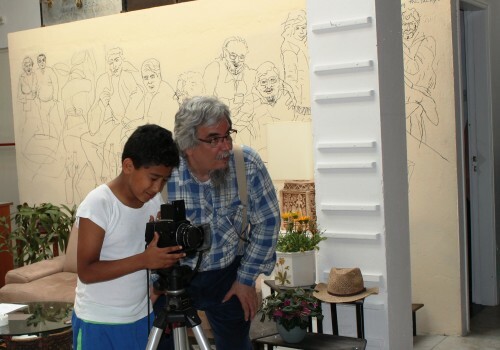 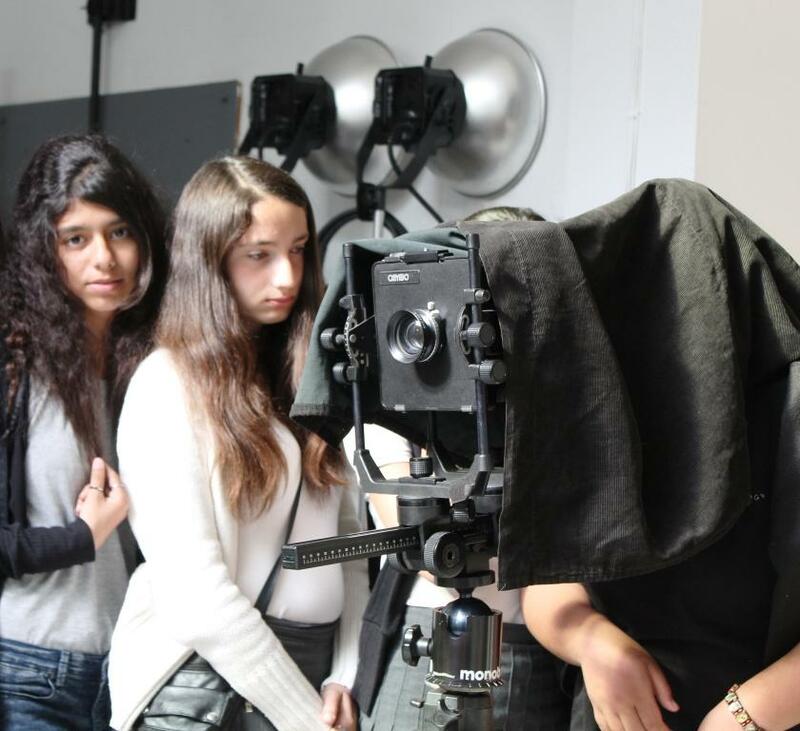 The children had the opportunity to see a movie related to the history of photography, interact with vintage cameras and accessories, and understand the concept of the dark room with the guidance of Mr Vassos Stylianou (well known Cypriot Photographer and owner of 6X6). 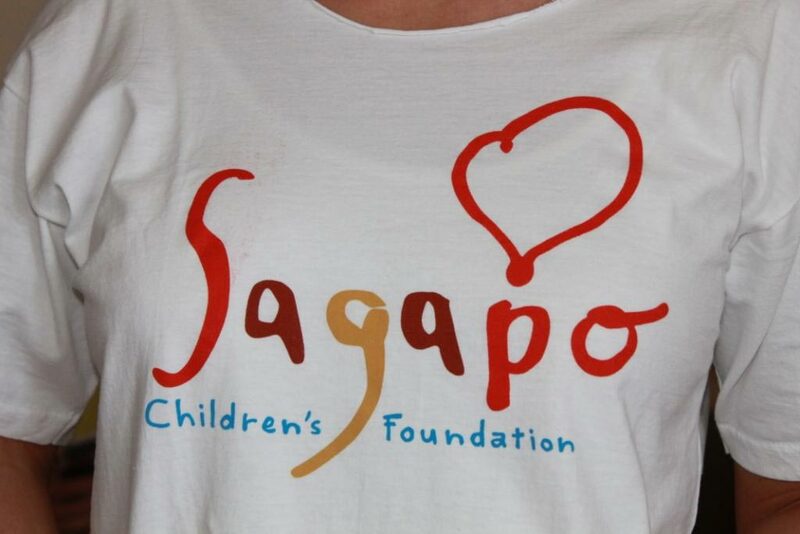 A Mega Thank you to Vassos and Maria (his wife) for their generosity and support. 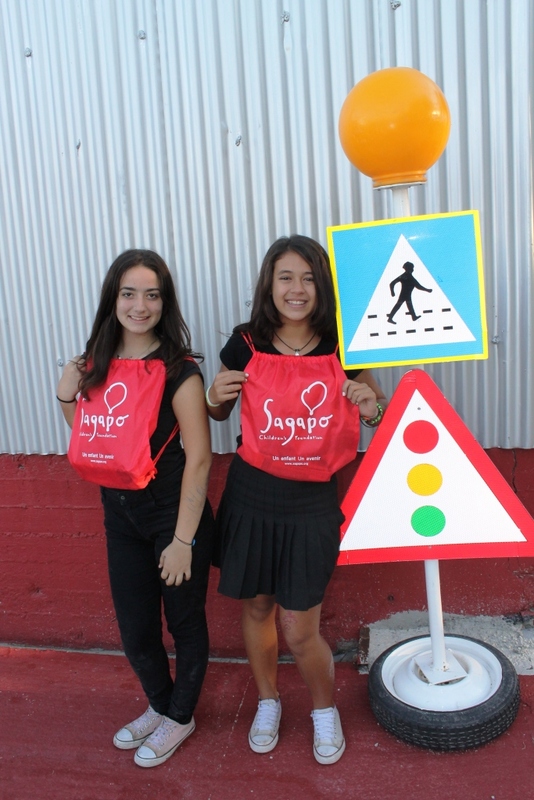 Physical fitness is not only one of the most important keys to a healthy body, it is the basis of dynamic and creative intellectual activity. 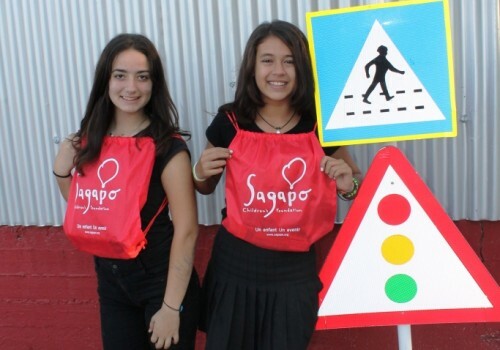 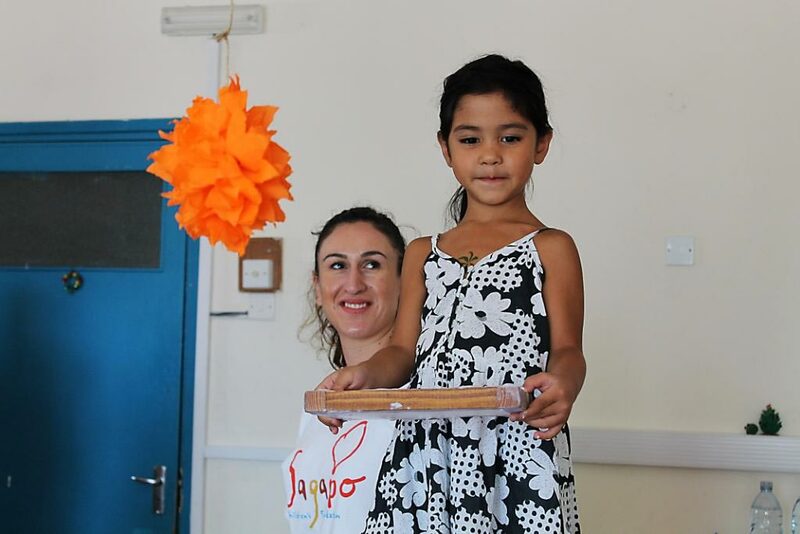 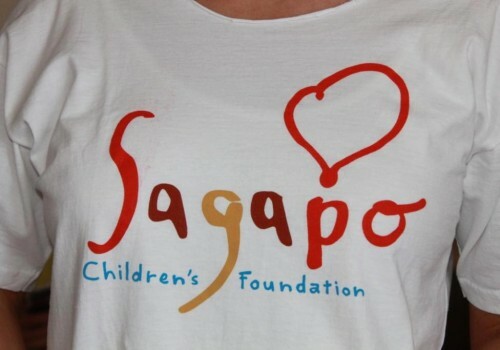 Sagapo Children’s Foundation provides and organizes weekly fitness and gymnastic classes for all the children attending the “Free Hands” program in Limassol in an effort to teach them that the first wealth is health and exercise is the chief source of improvement in all our faculties. 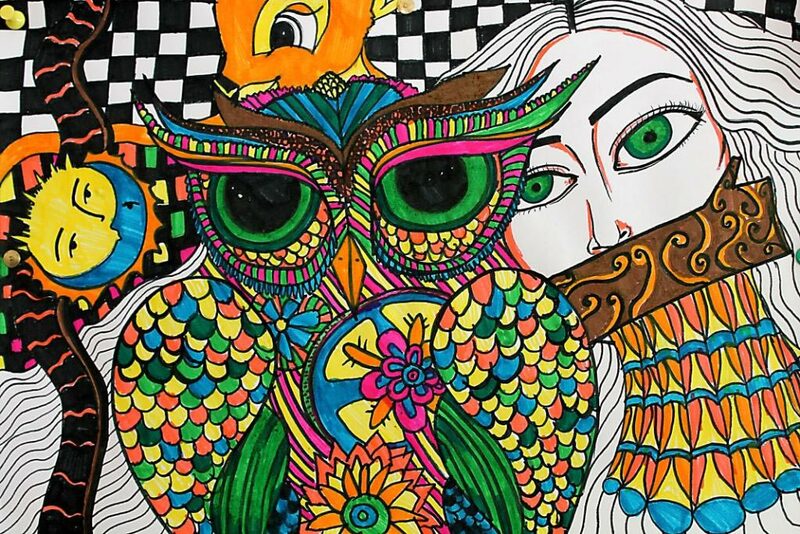 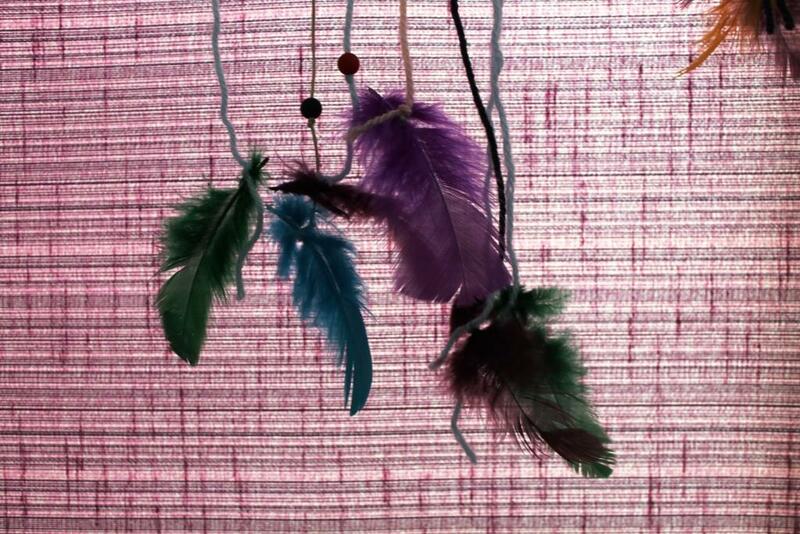 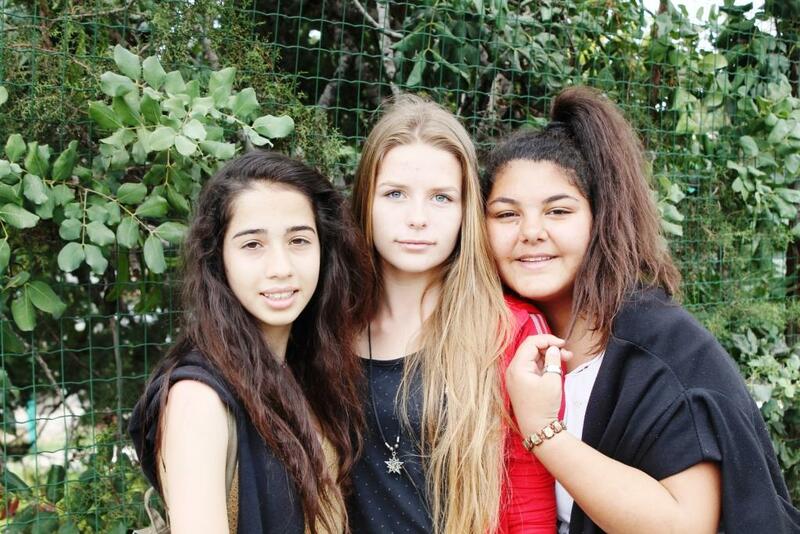 They say that life is made up of moments which sharpen your senses and reinforce your sight. 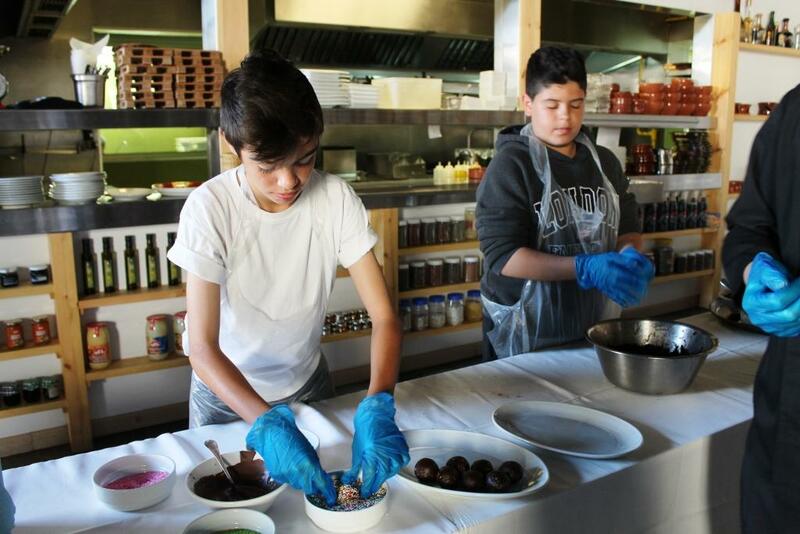 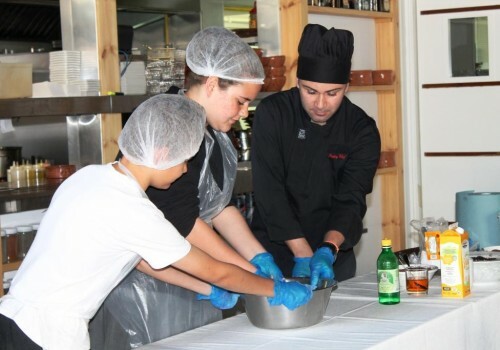 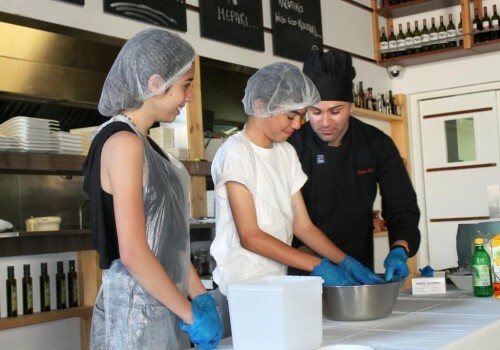 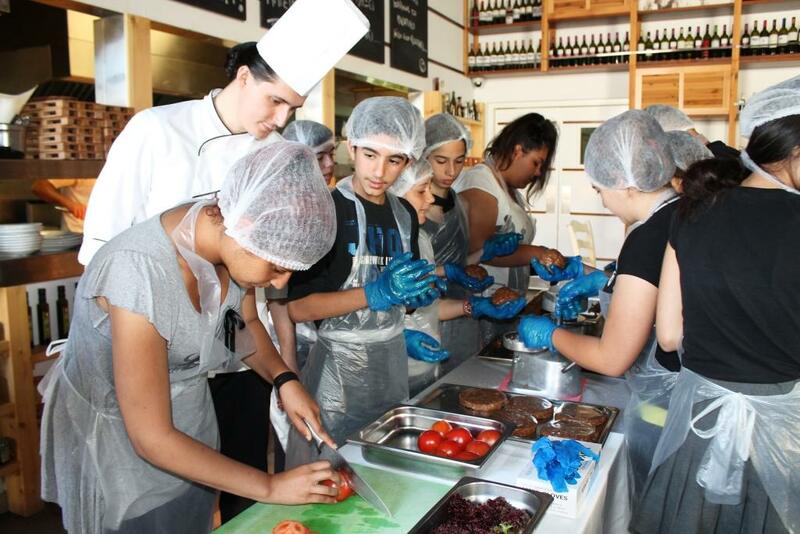 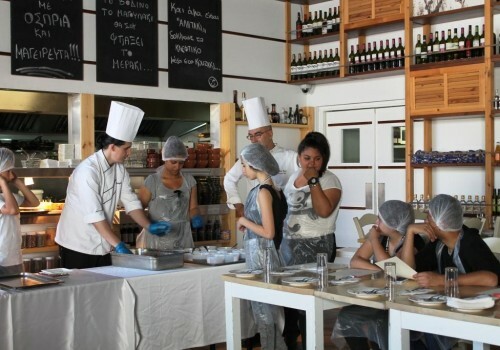 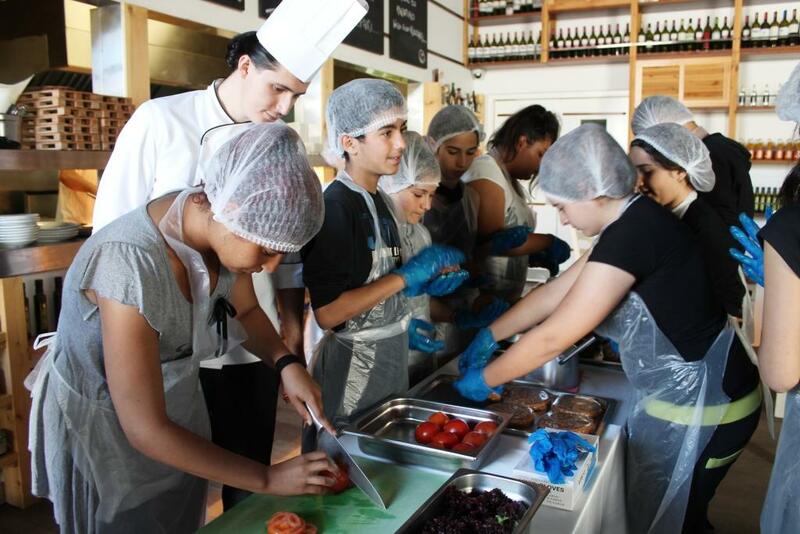 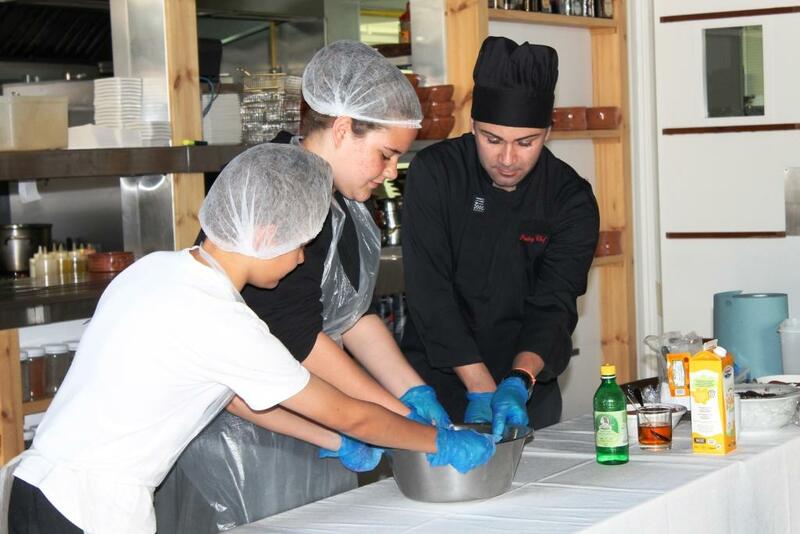 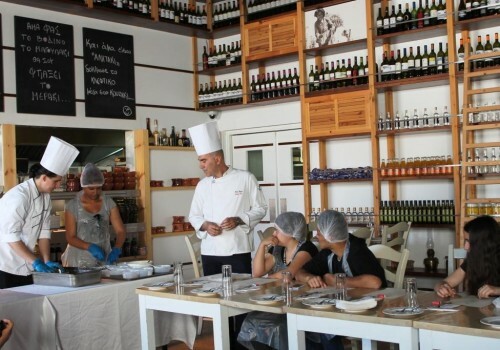 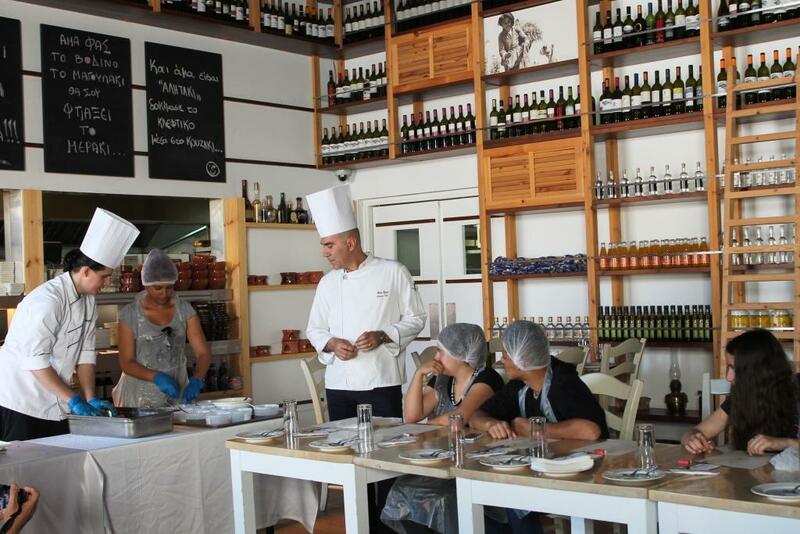 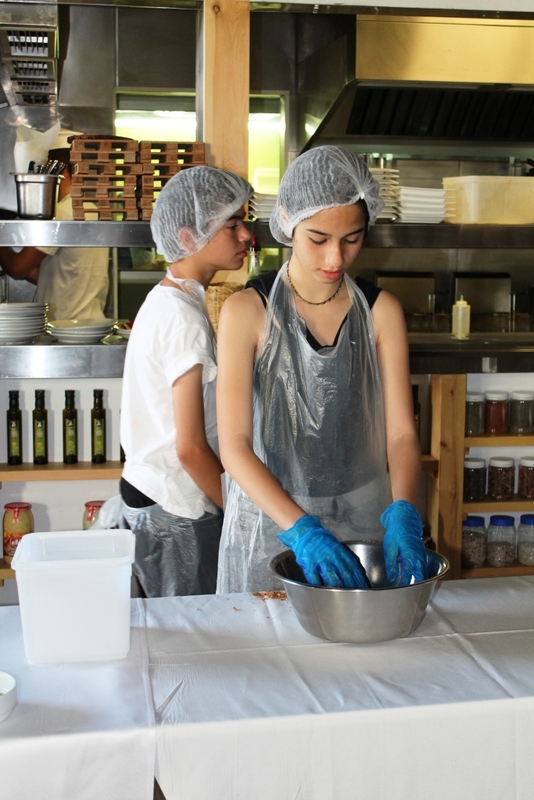 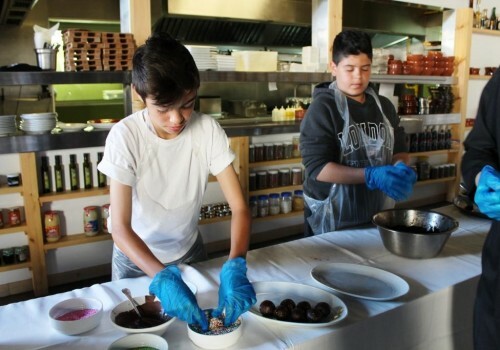 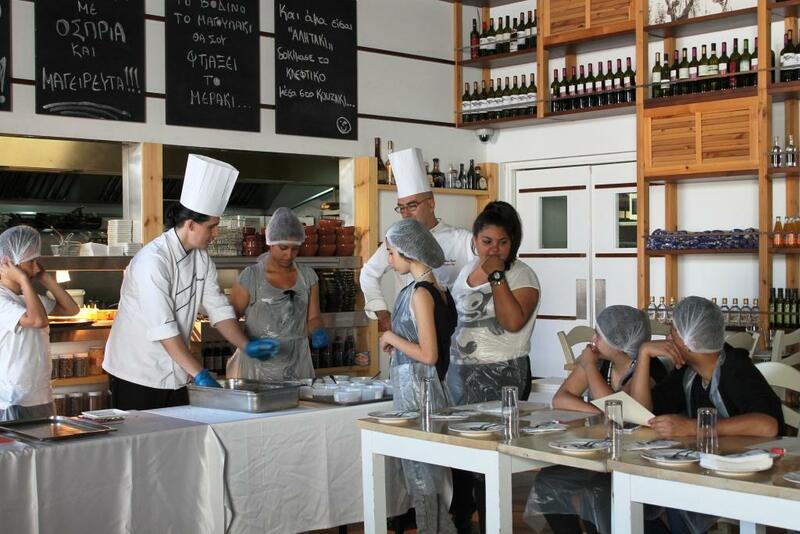 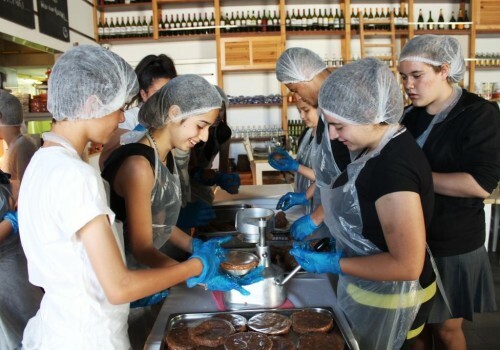 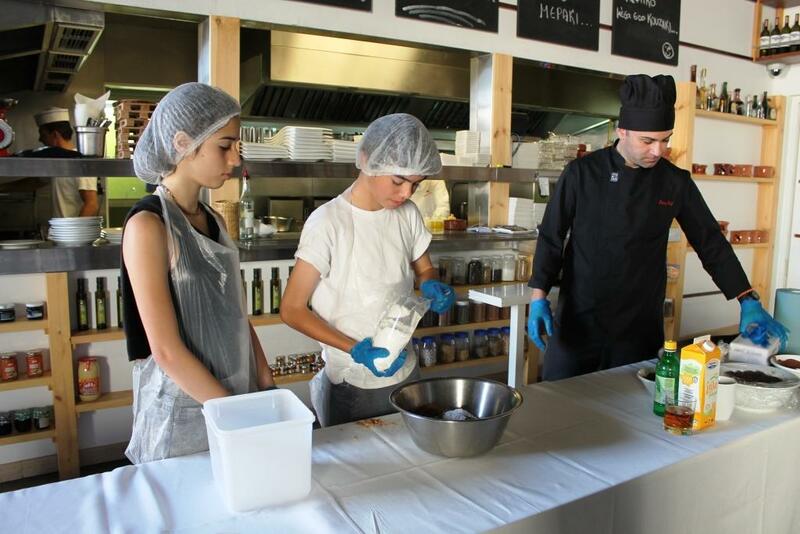 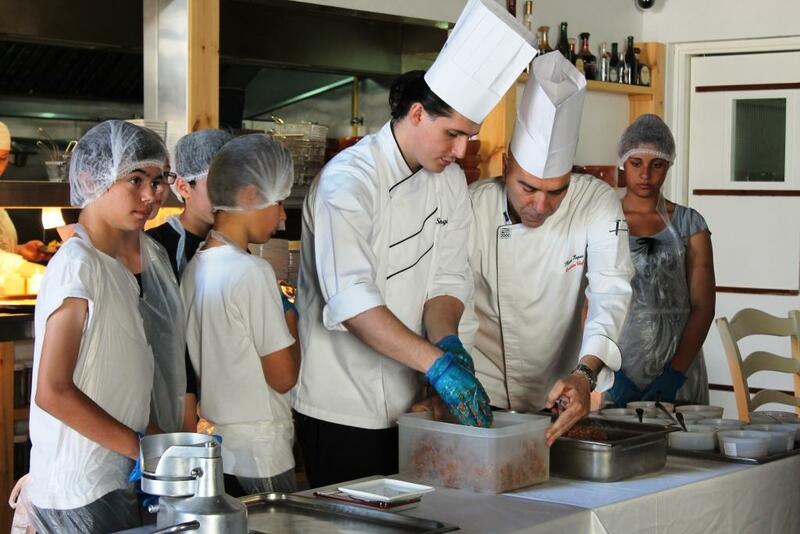 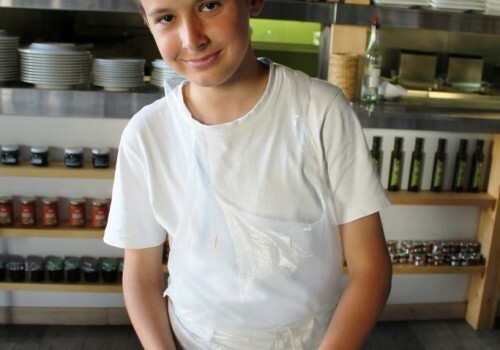 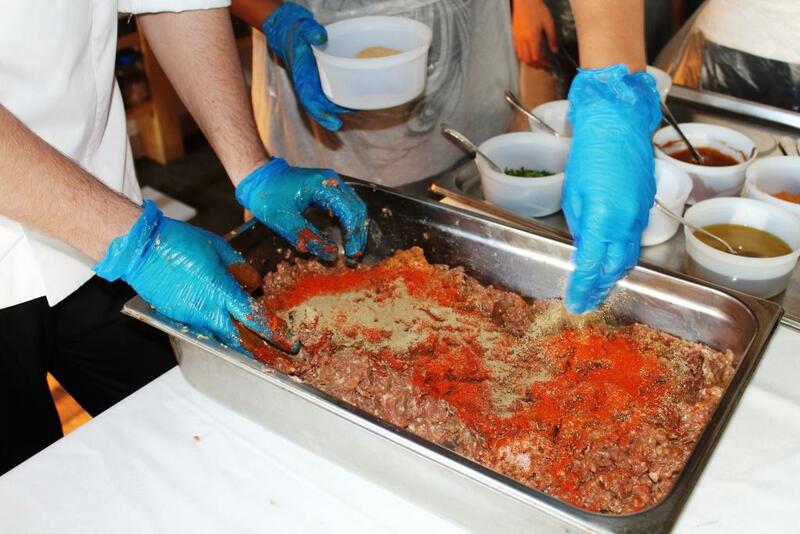 All come together with the cookery class organized by Sagapo Children’s Foundation with the help of our sponsors ” Carob Mill Restaurants” and the personal assistance and support of their Executive Chef Mr Skevos Kapsos. 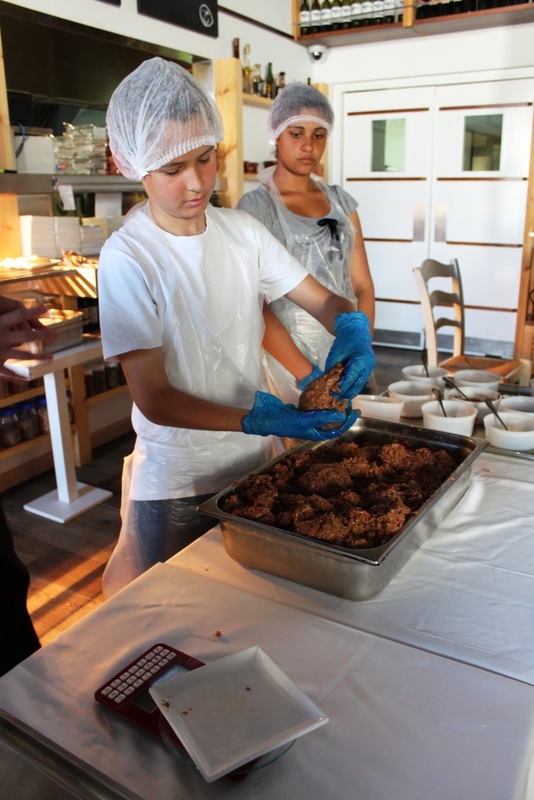 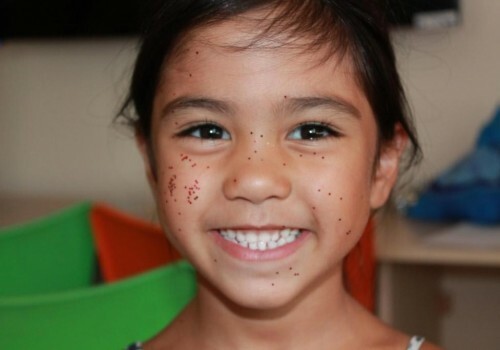 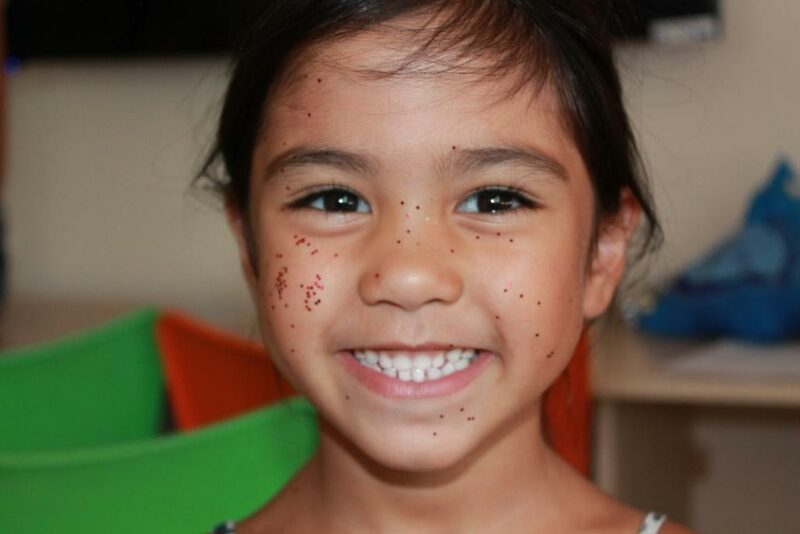 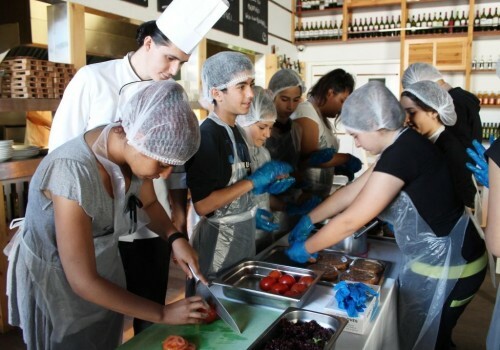 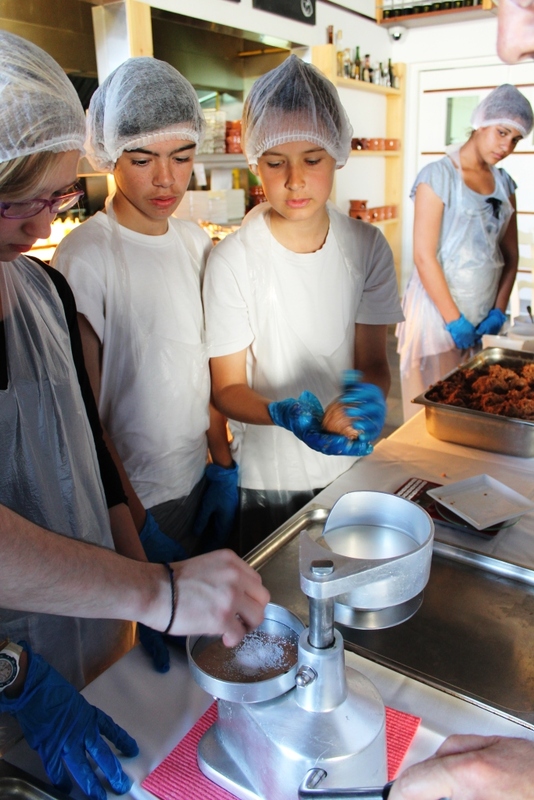 The children were guided to prepare dishes and desserts, sharing tasks, mixing fresh ingredients, chopping vegetables in a fun and informal way. 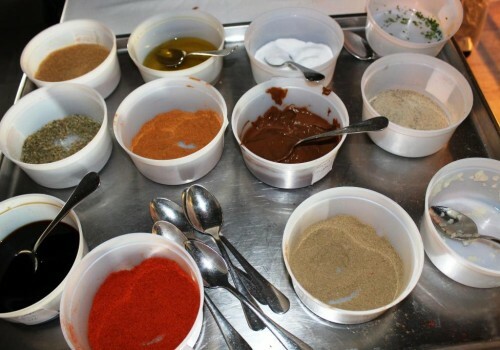 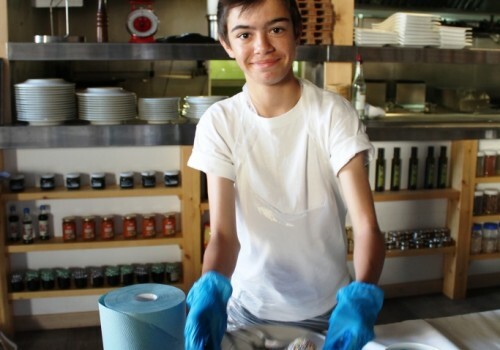 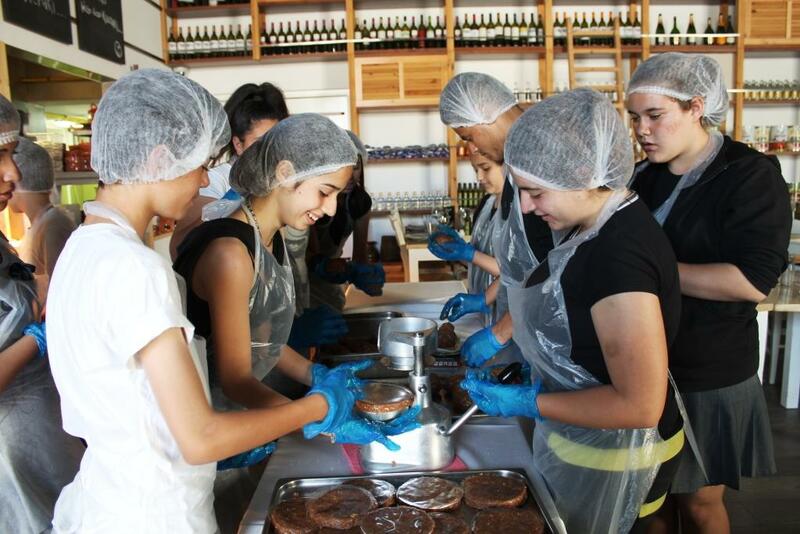 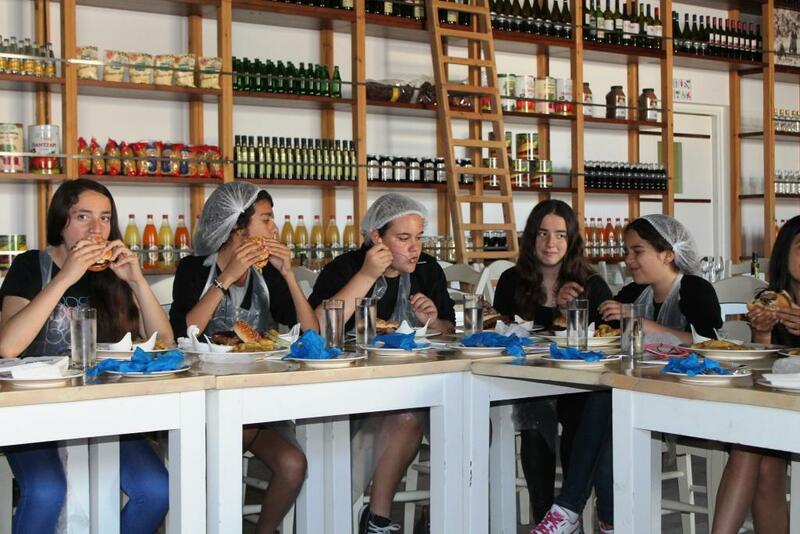 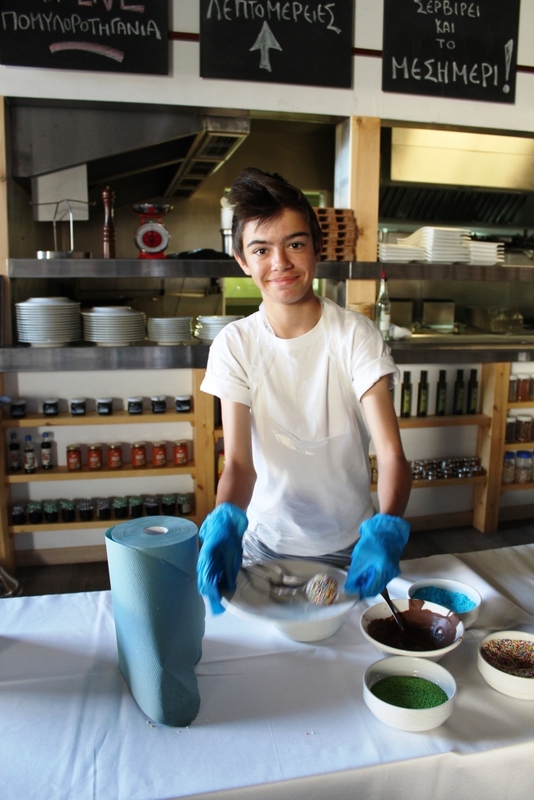 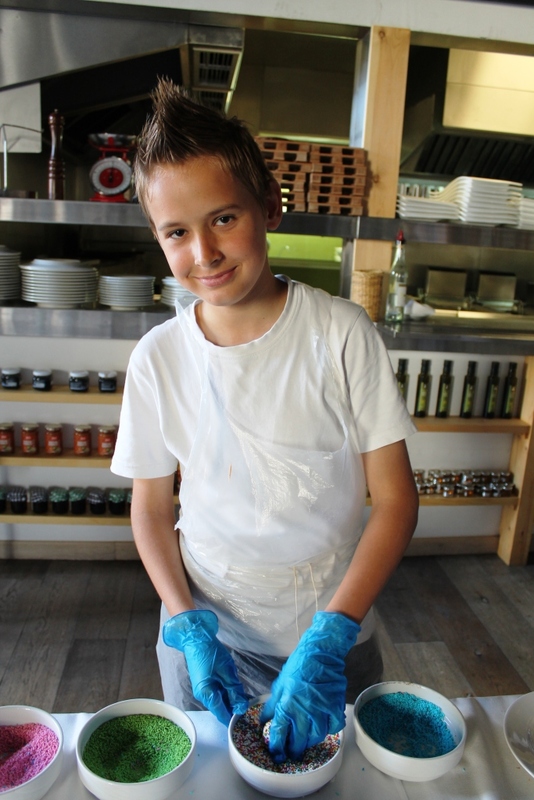 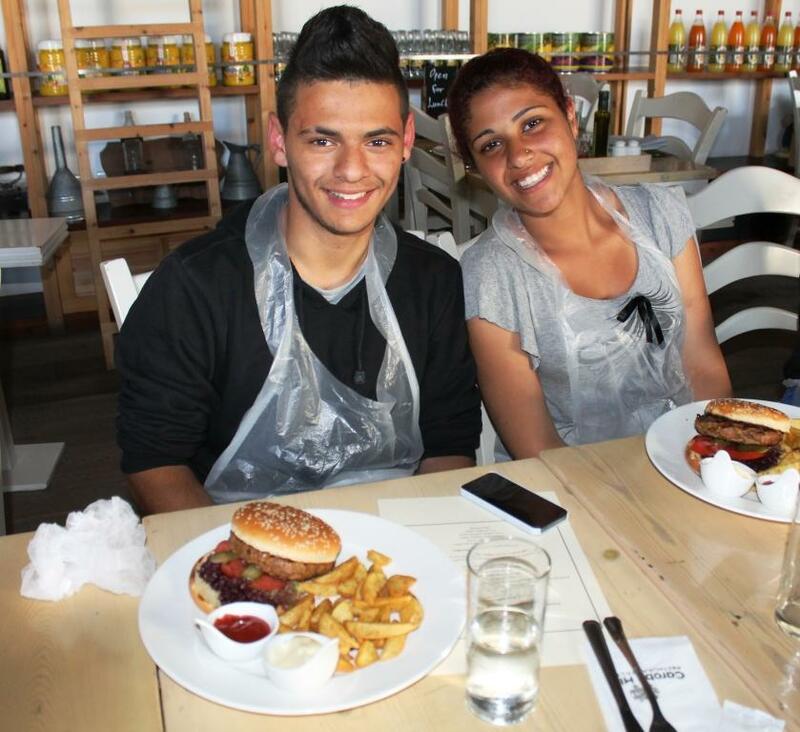 A Mega Thank you to the “Carob Mill Restaurants” and their wonderful team of people. 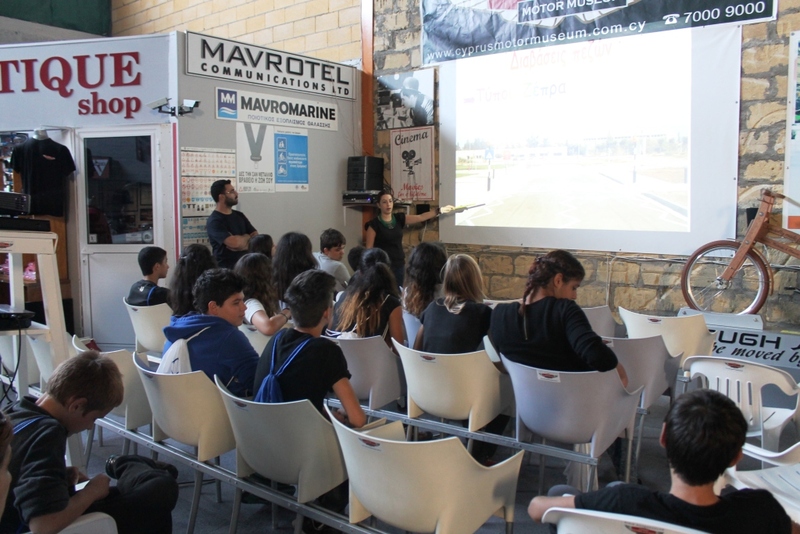 An educational visit was organized on the 29th of October by Sagapo Children’s Foundation for the children attending the “Free Hands” program in Limassol. 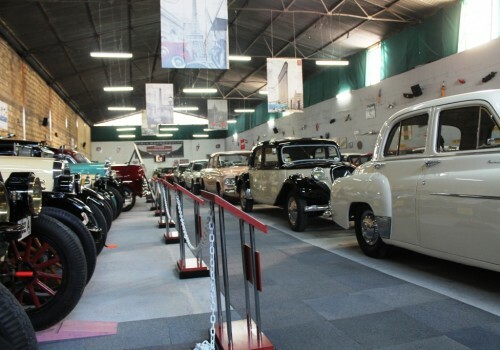 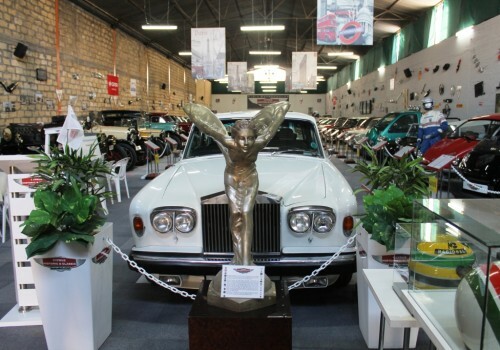 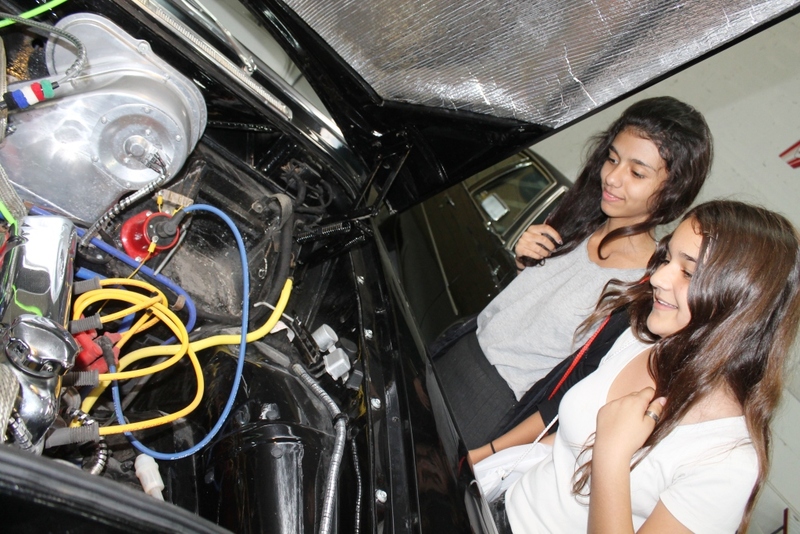 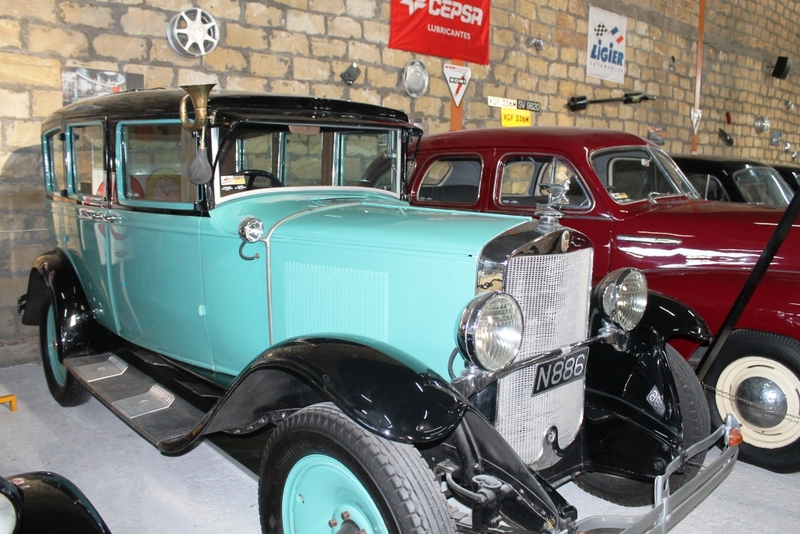 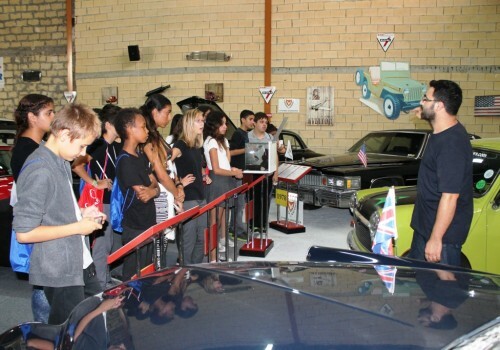 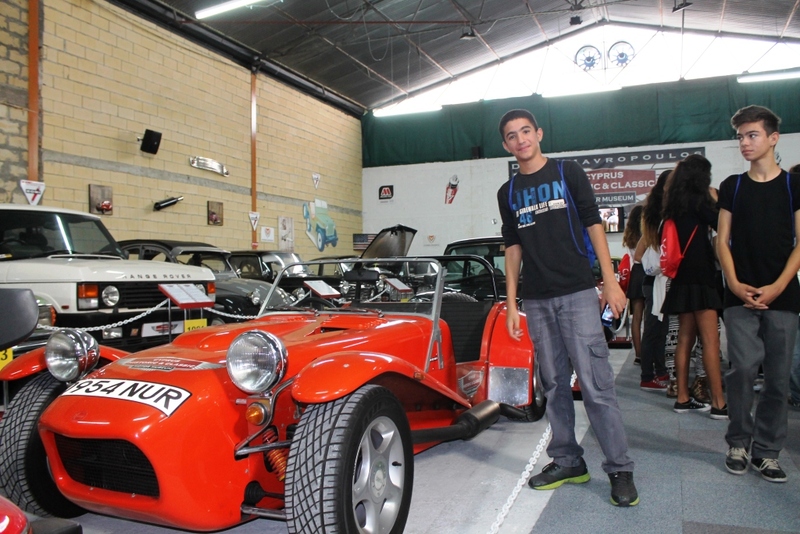 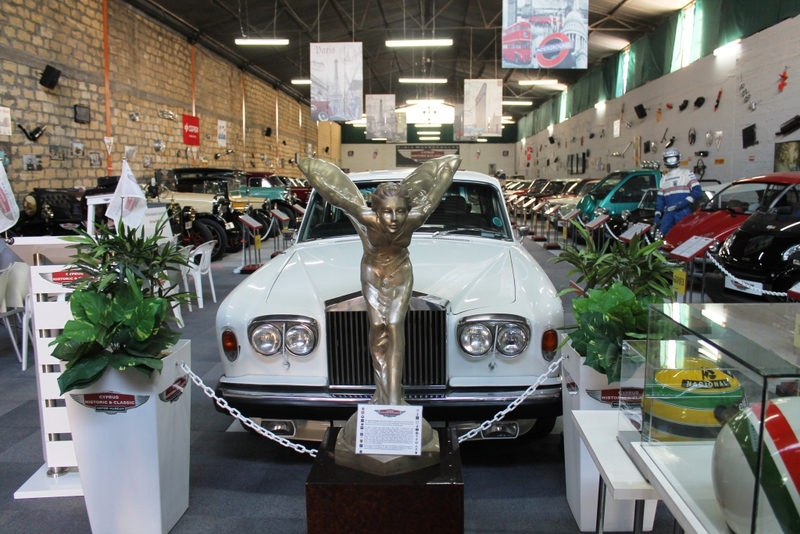 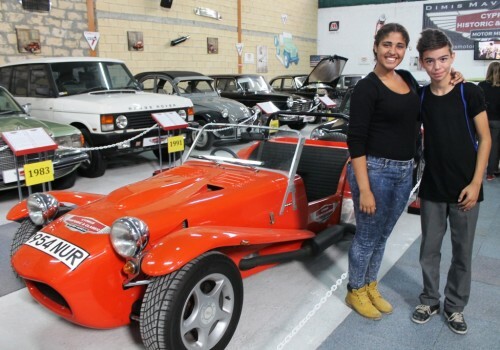 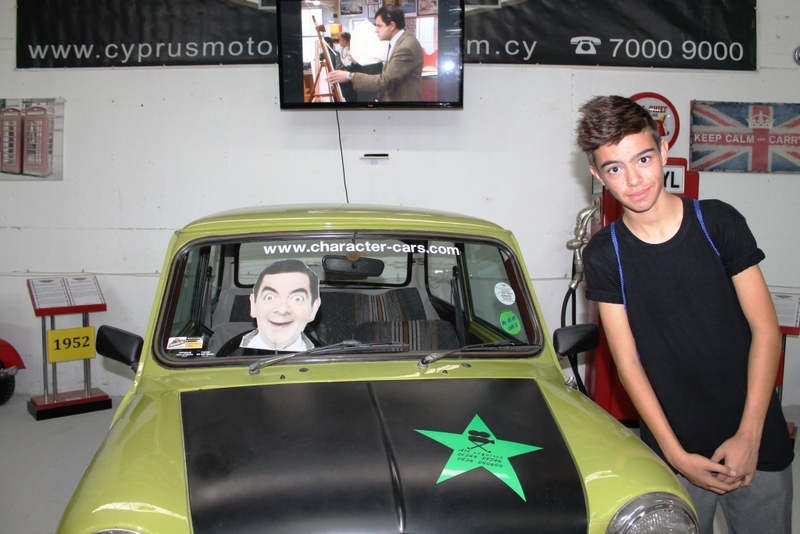 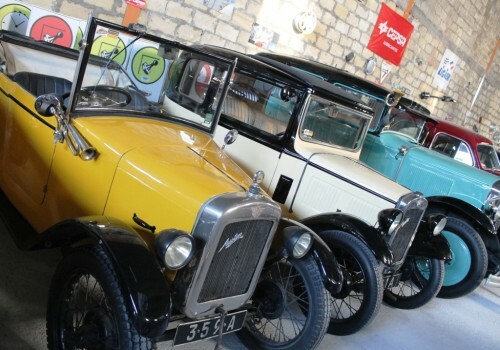 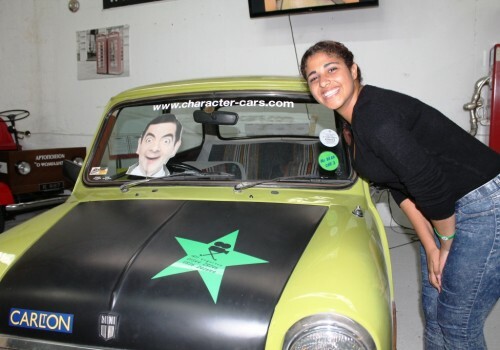 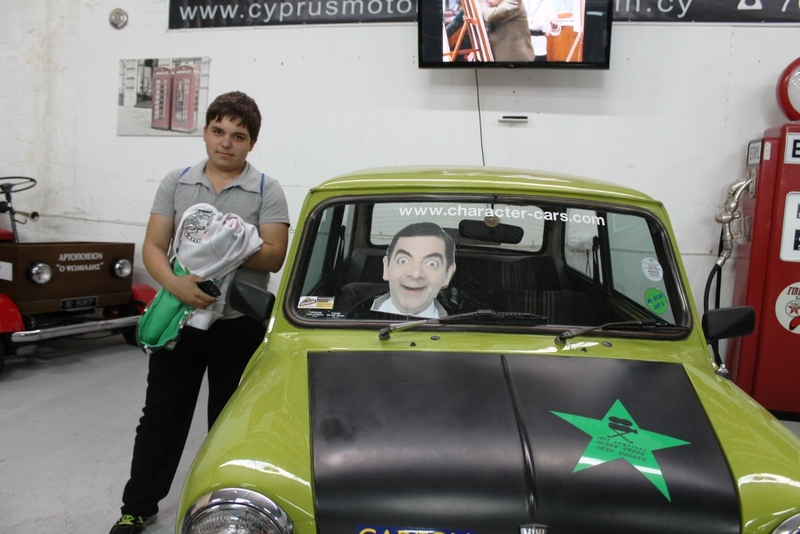 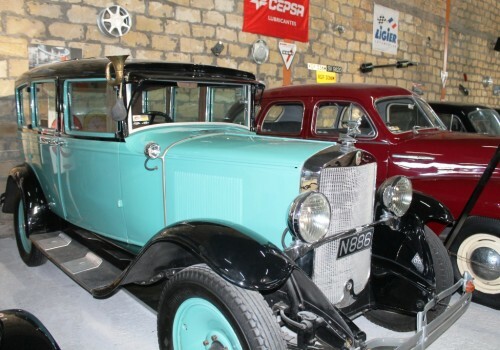 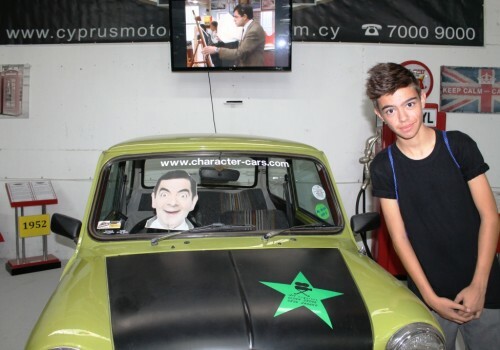 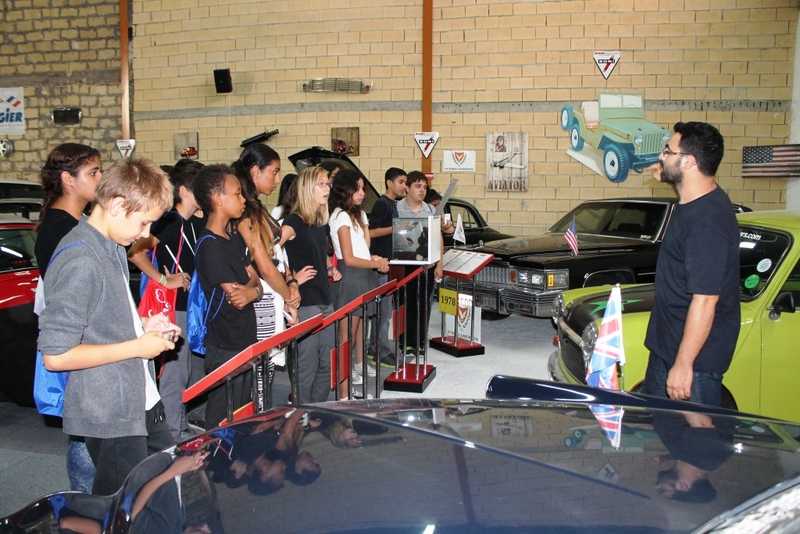 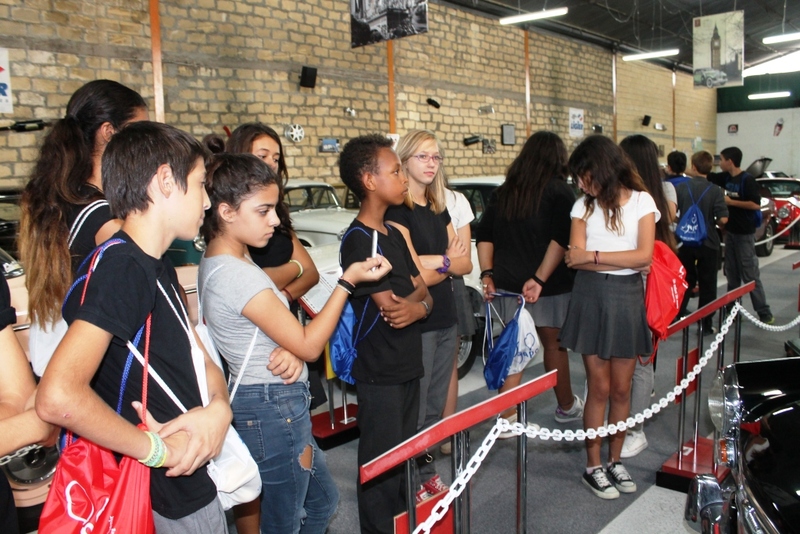 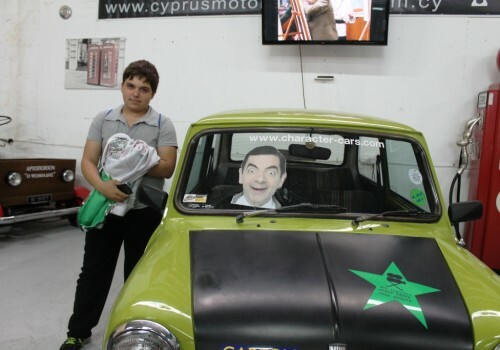 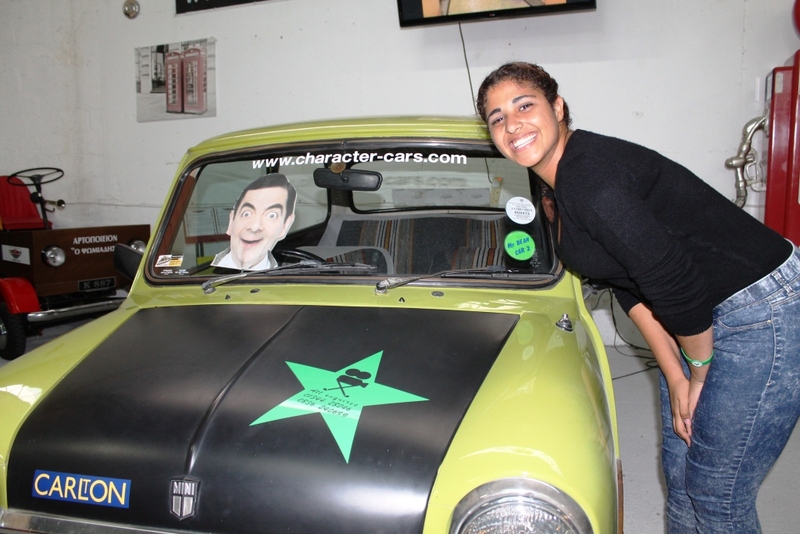 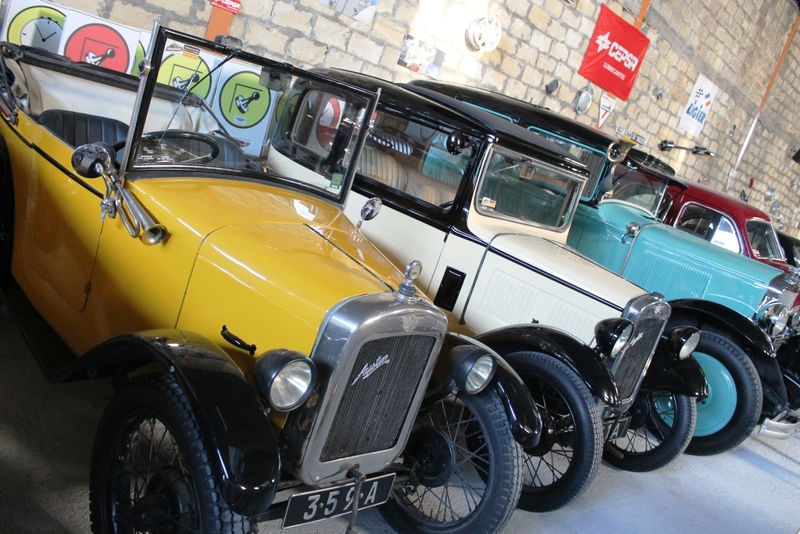 The children enjoyed a whole afternoon at the Cyprus Historic and Classic Motor Museum www.cyprusmotormuseum.com watching a movie about motoring through ages and learning how to be safe walking and driving in the streets. 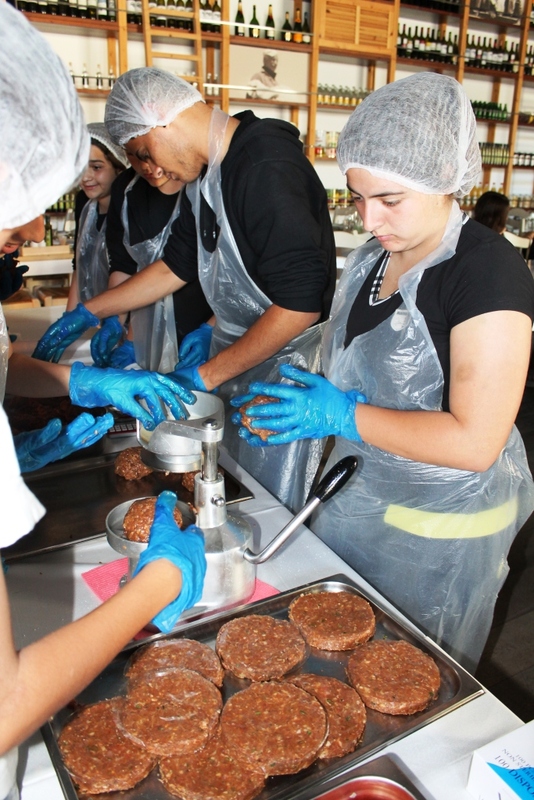 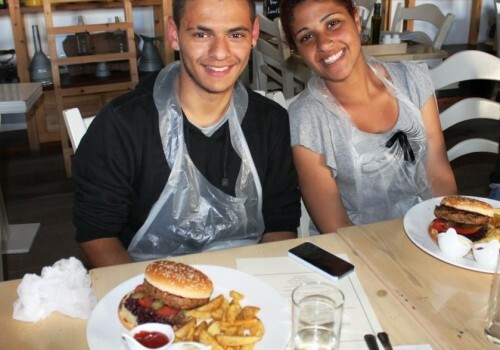 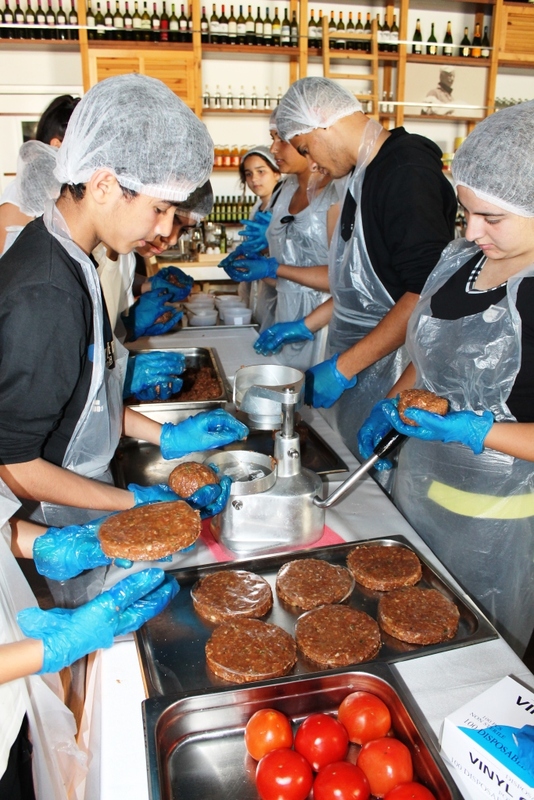 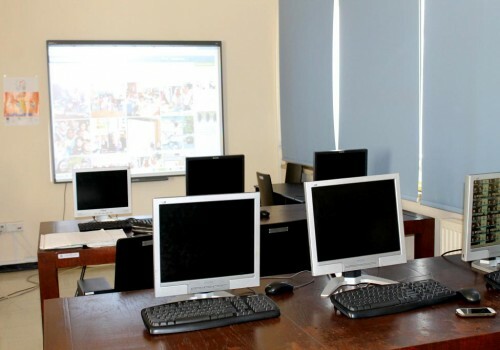 The computer class at the “Free hands program” in Limassol is running with great success since September 2014. 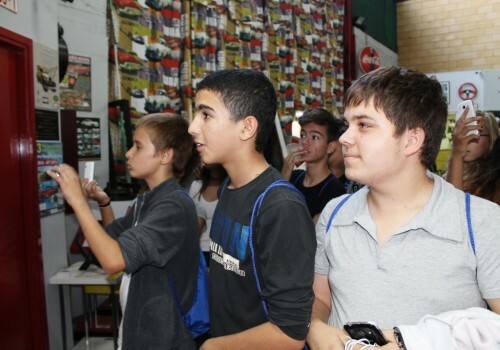 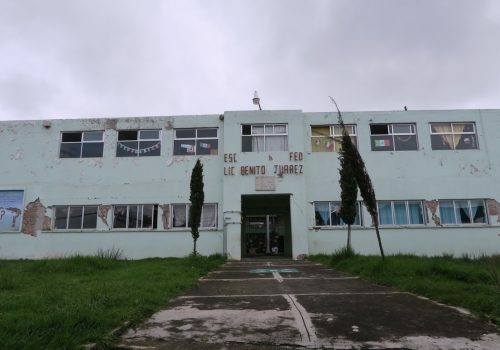 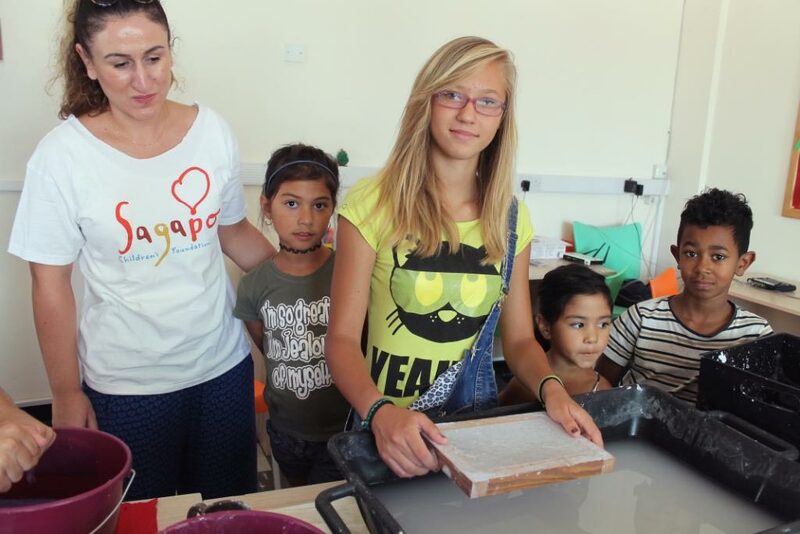 More than 25 children attend computer, physics, biology, mathematics and Greek classes in this space created by Sagapo Children’s Foundation. 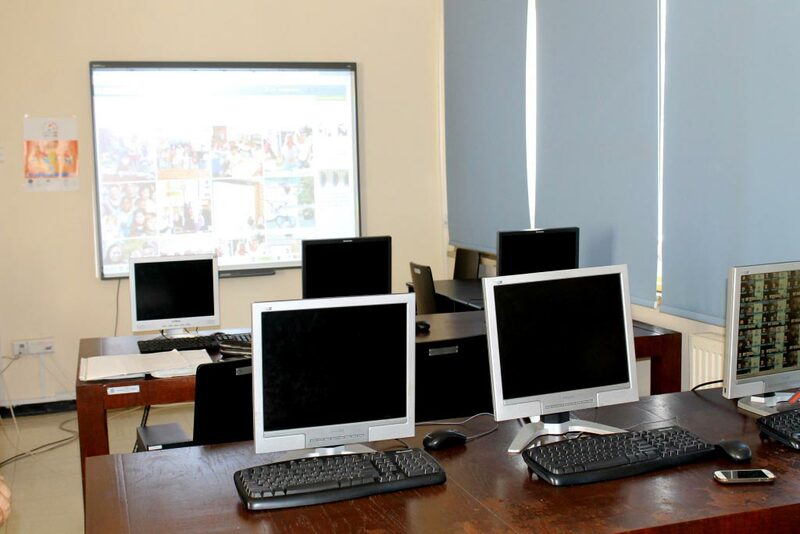 The room has been painted and 18 computers have been set thanks to the help of our charity partners. 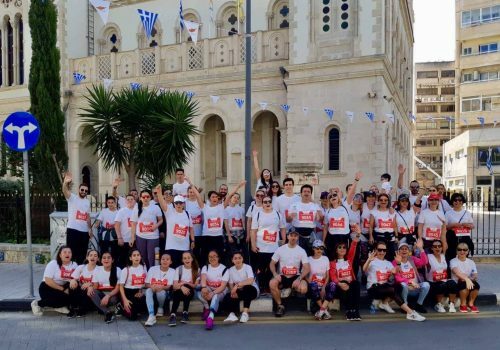 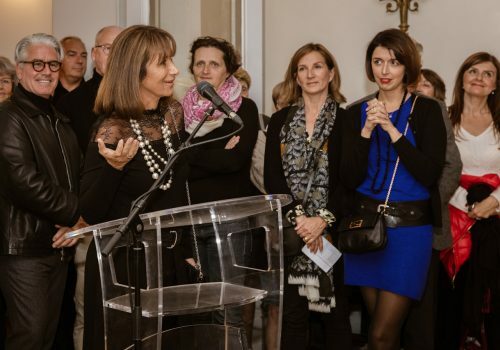 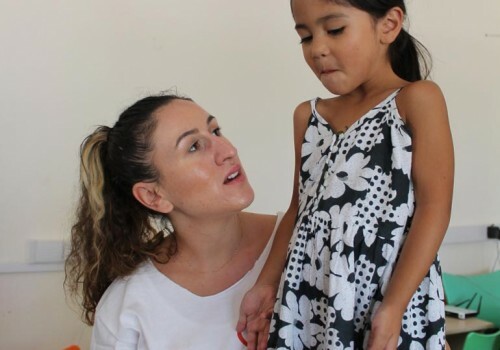 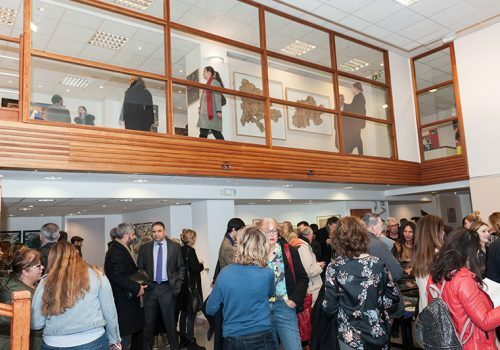 Thank you MIMN, Xenia Tsolaki-Metaxa Institute, Easy Forex, mmVirtual and ICPAC (SELK) for joining us to provide the lifelong gift of education to so many children. 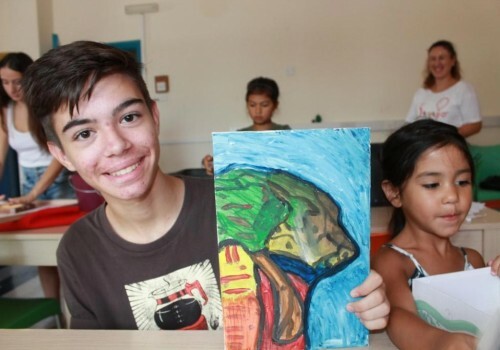 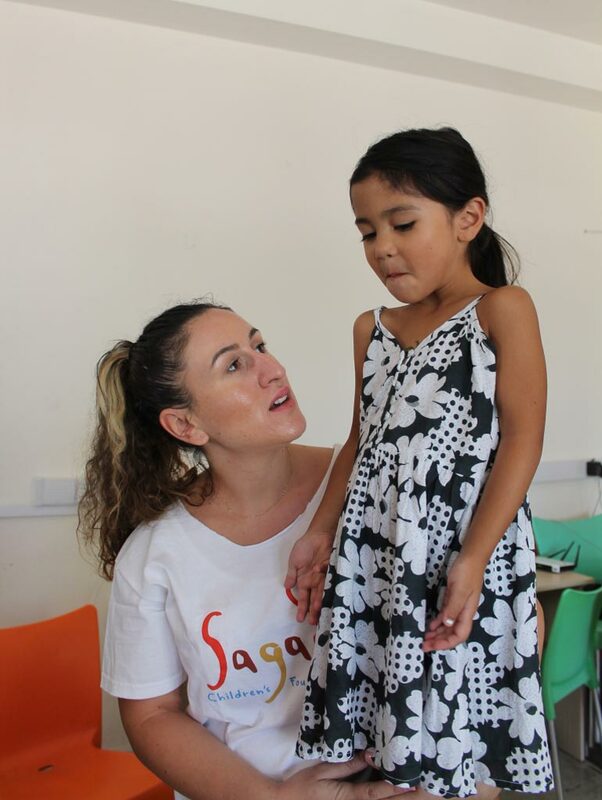 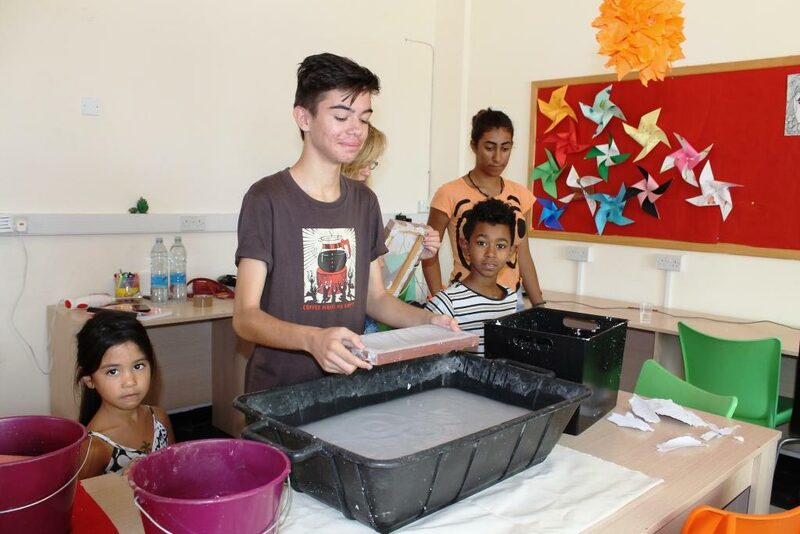 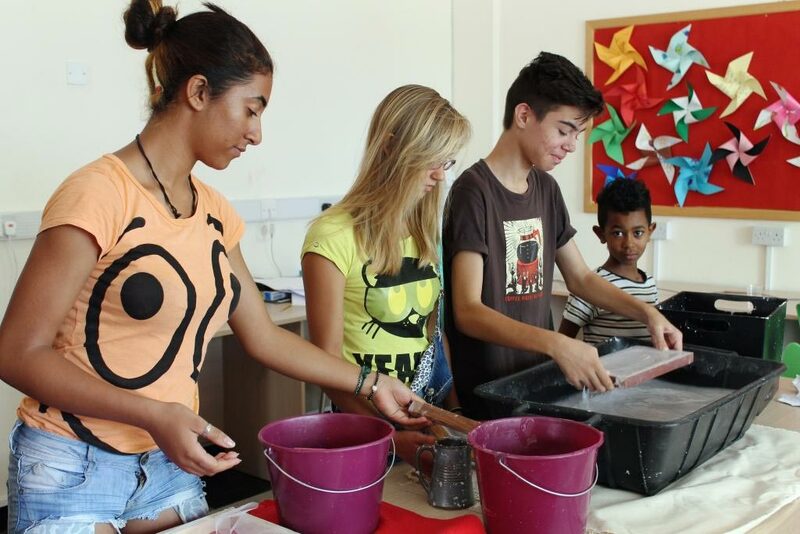 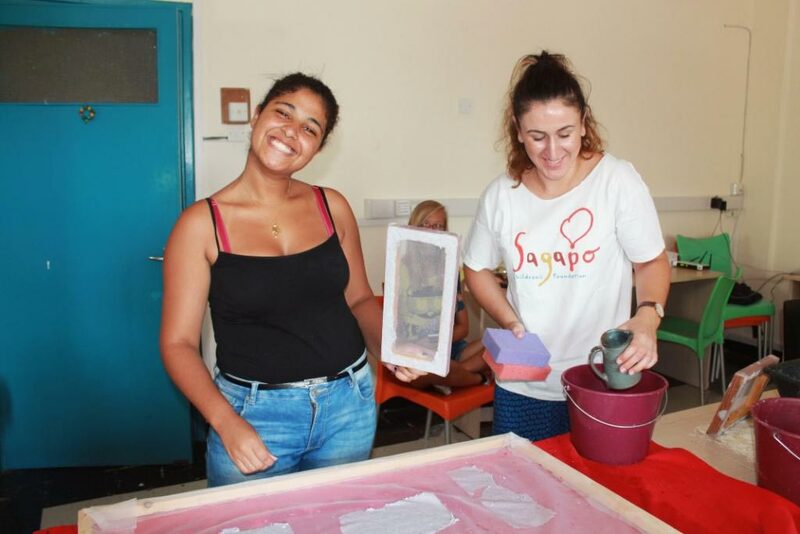 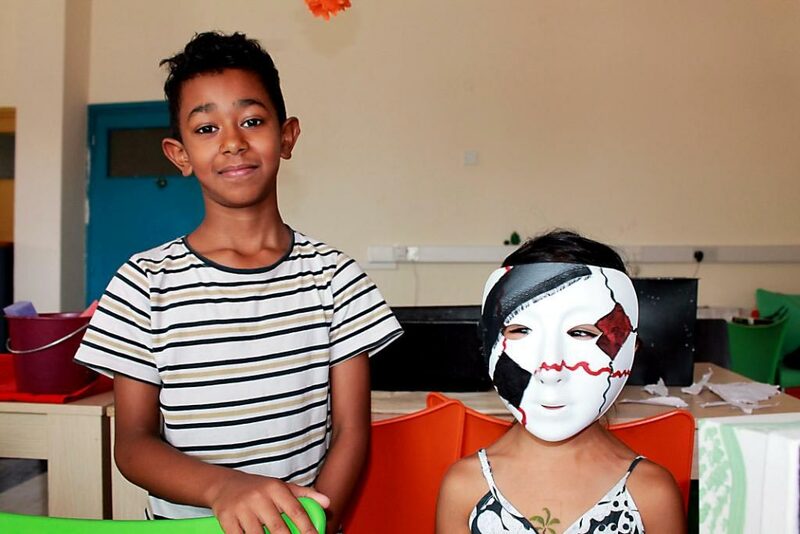 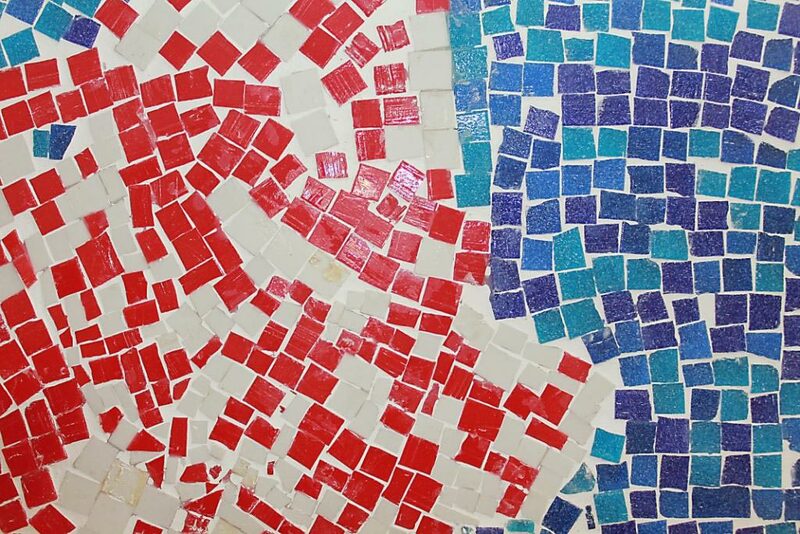 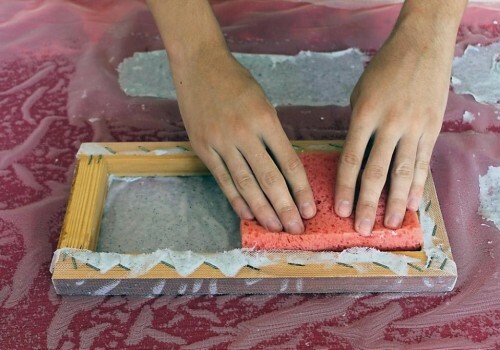 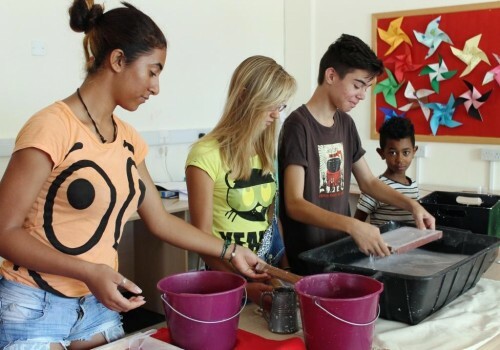 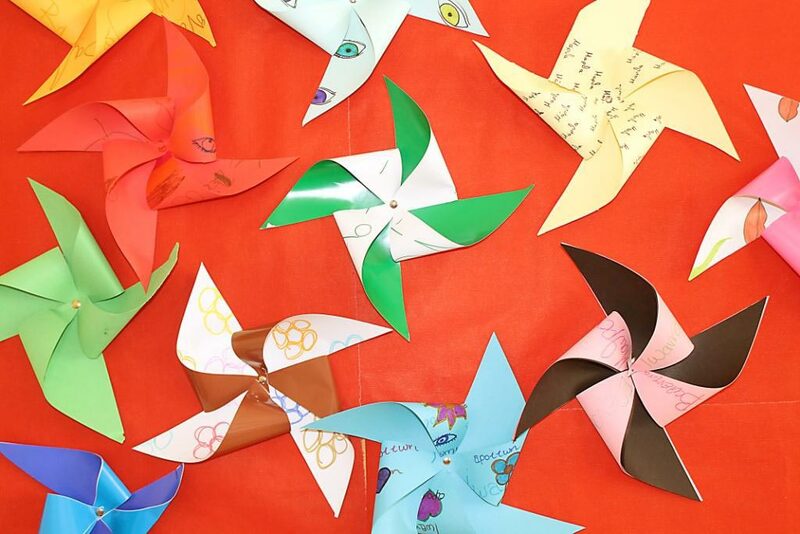 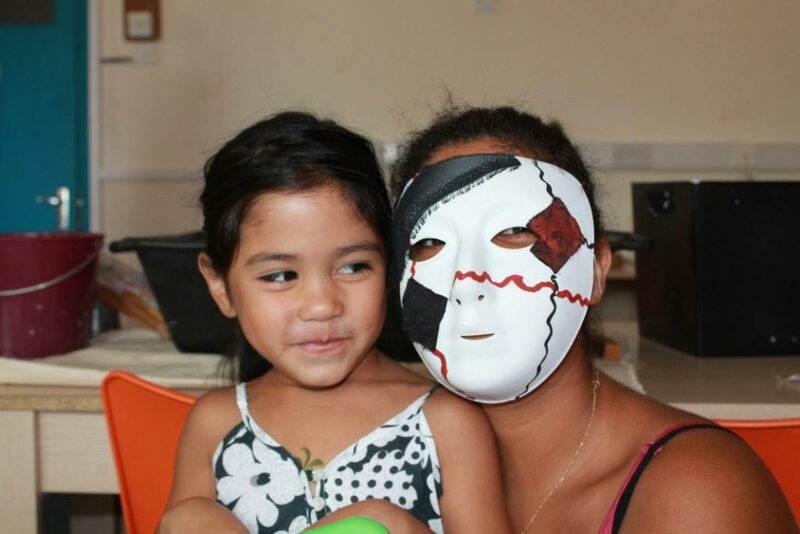 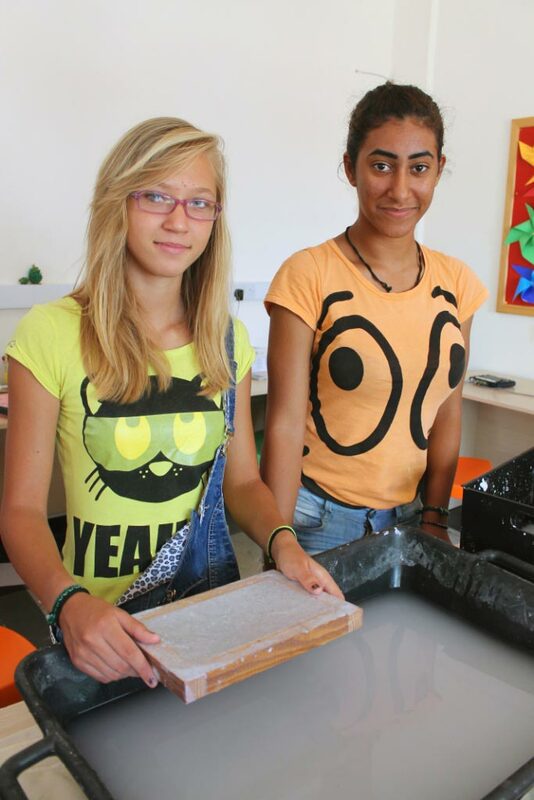 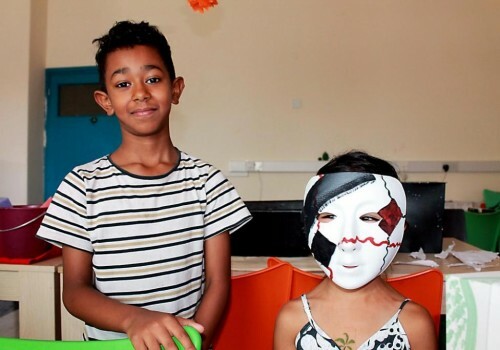 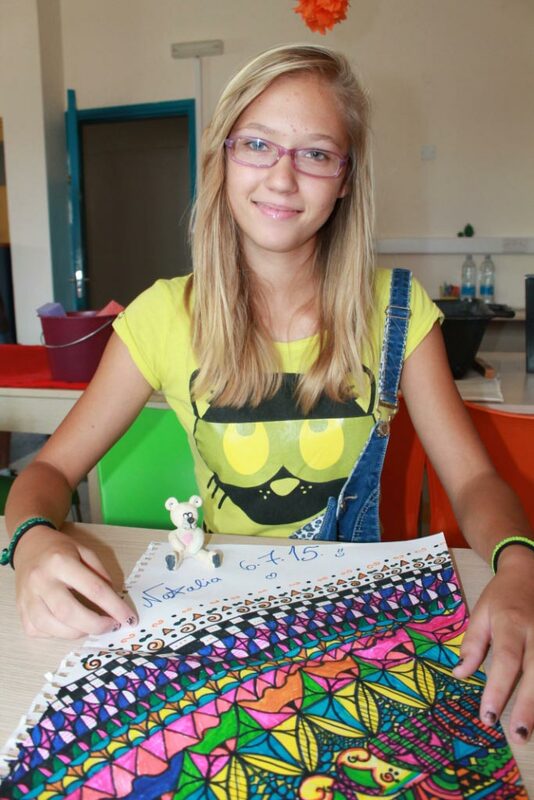 Sagapo summer art classes where organised for the children attending the Free Hands program in Limassol, including making paper, drawing, painting, learning how to make mosaics and collage. 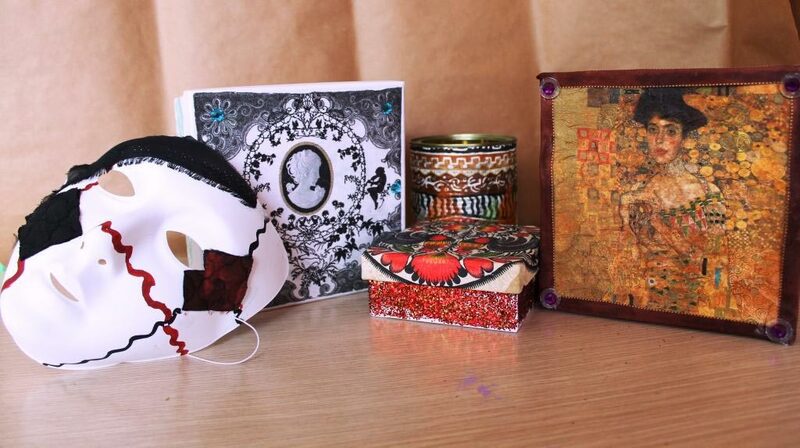 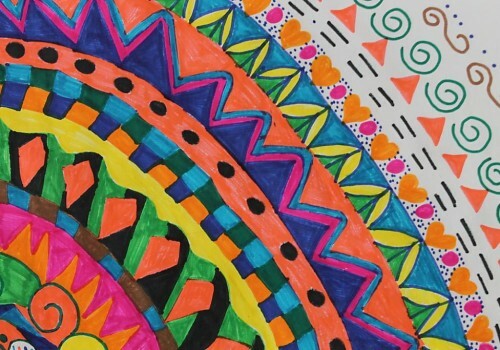 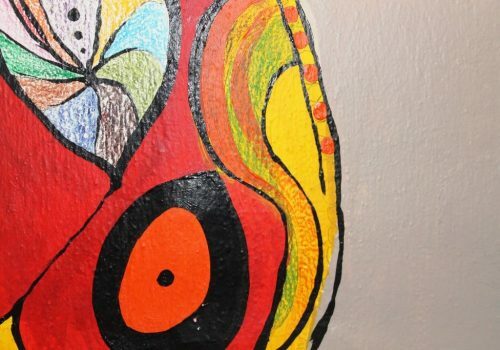 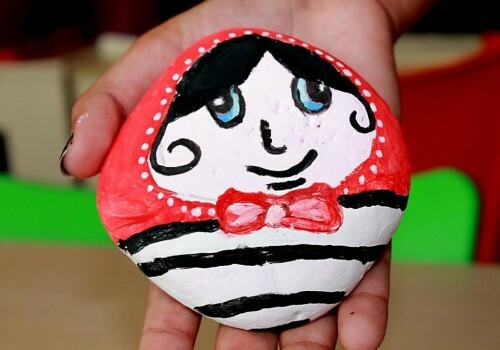 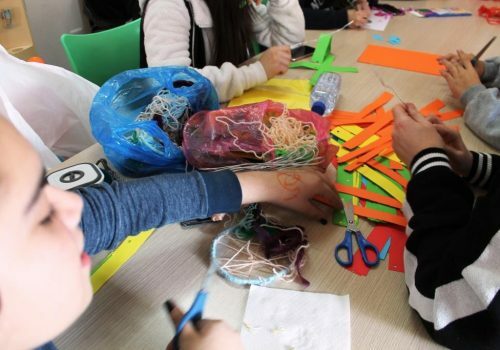 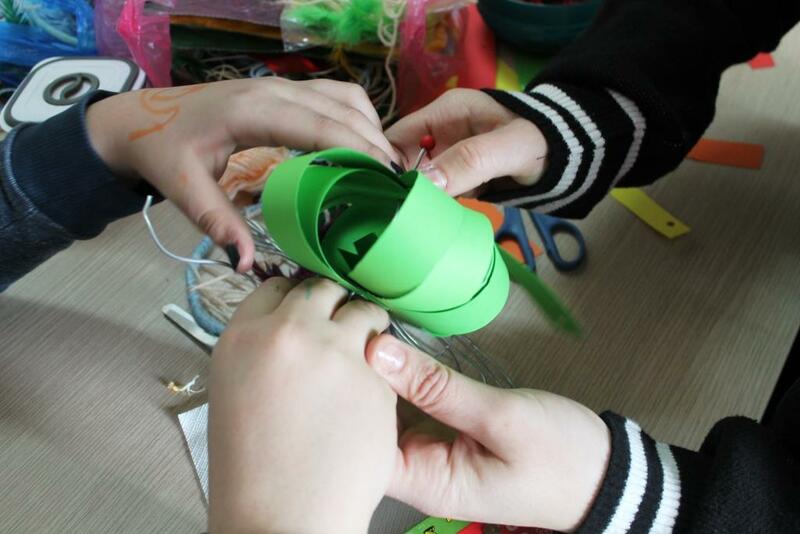 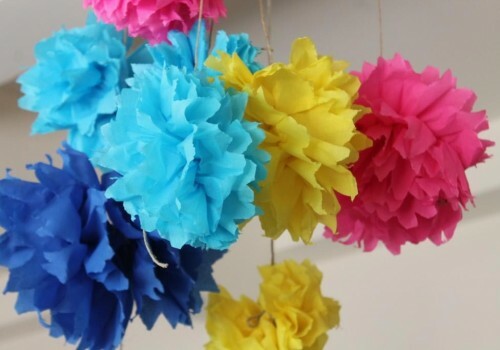 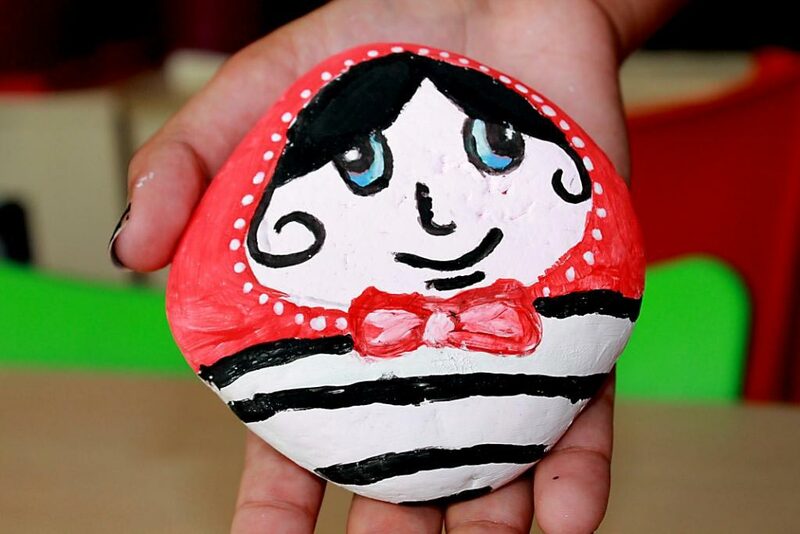 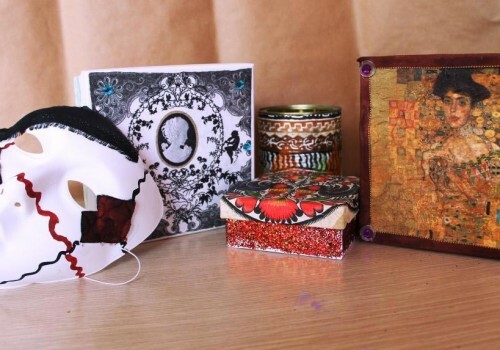 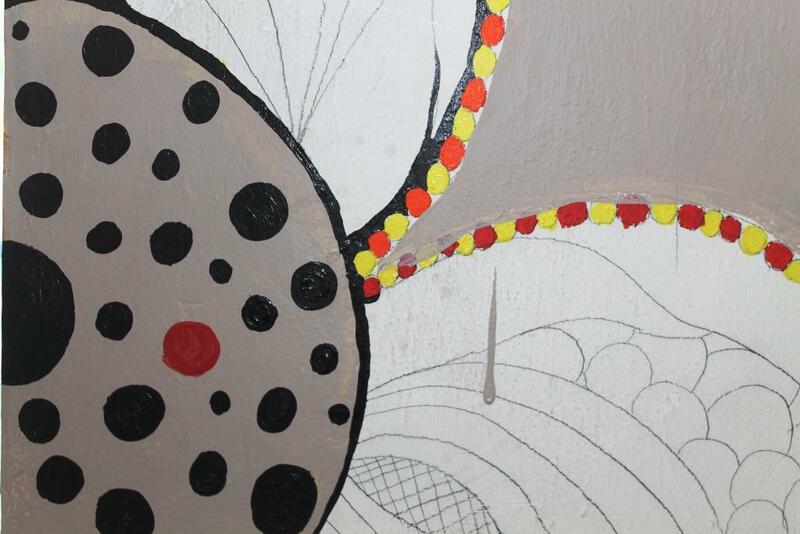 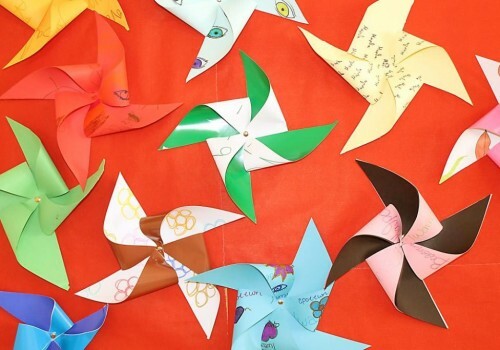 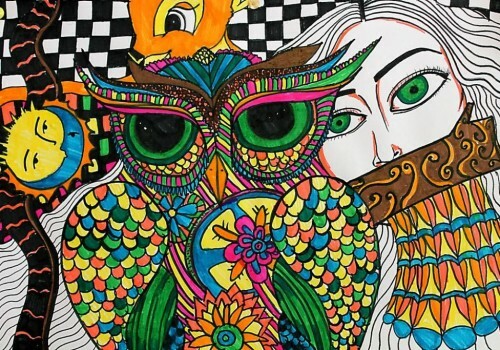 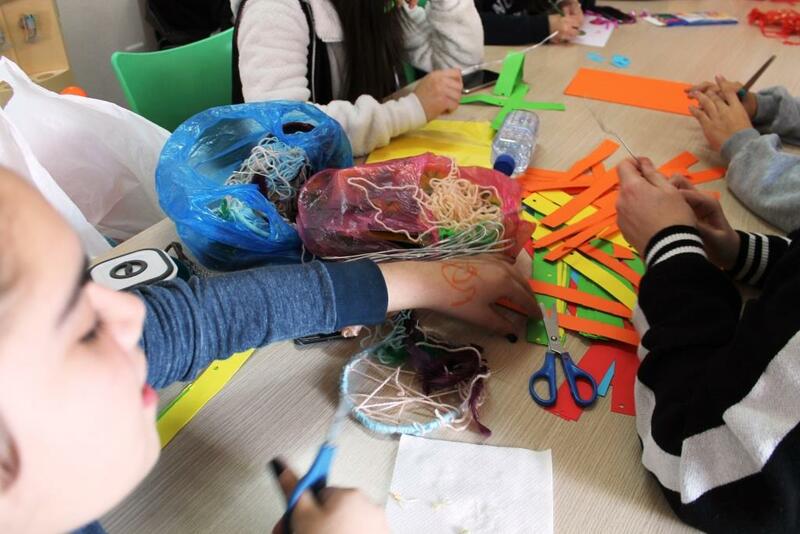 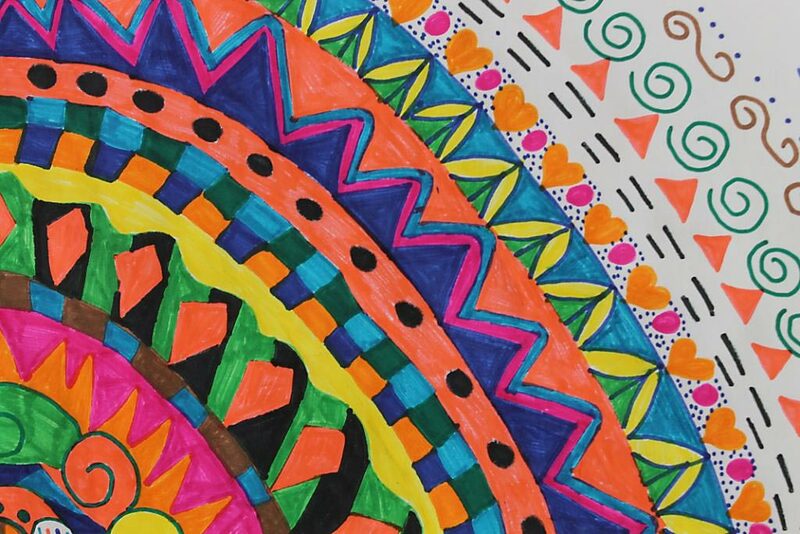 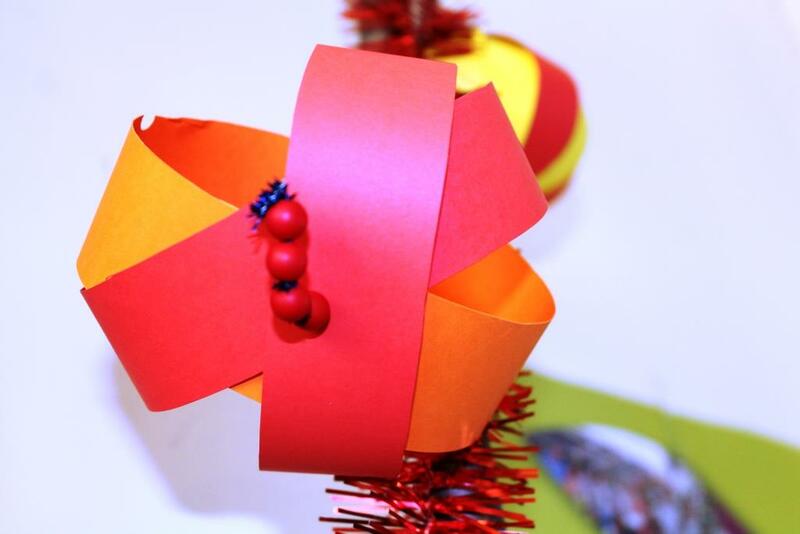 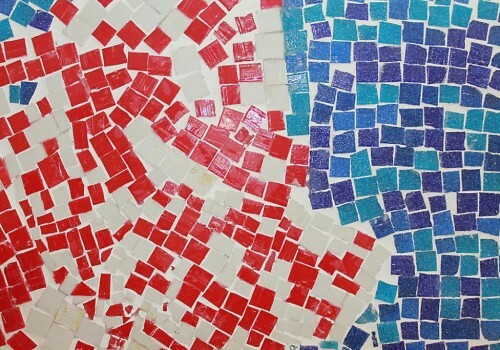 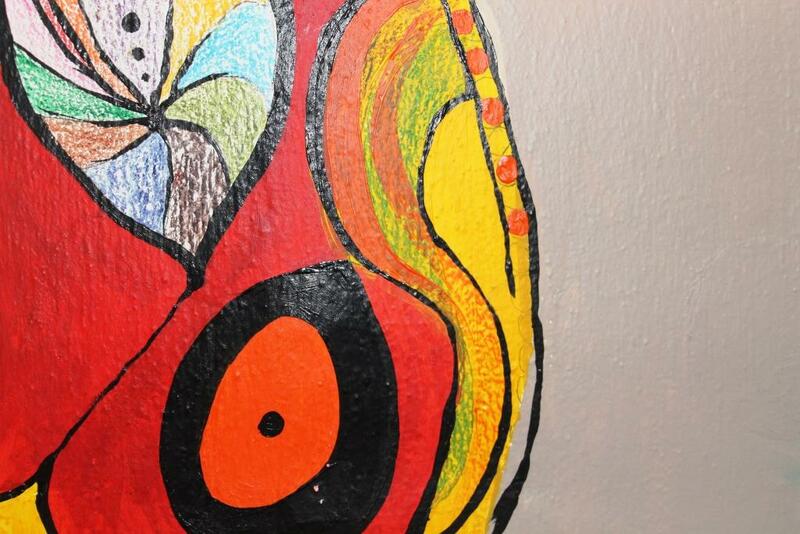 All children from 7 to 17 years old made small artworks based on their own likes, working with smart materials in fun engaging and creative ways.